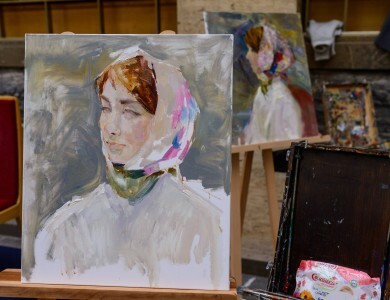 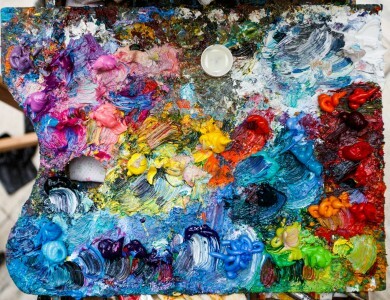 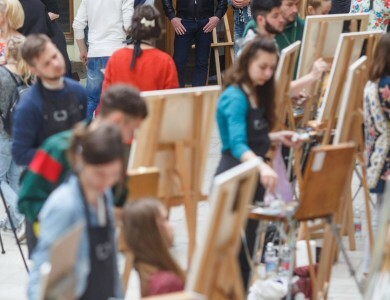 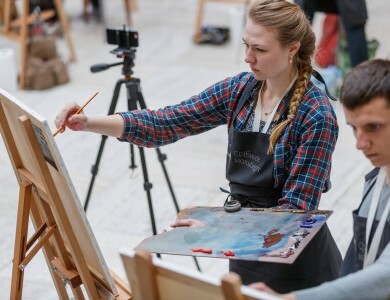 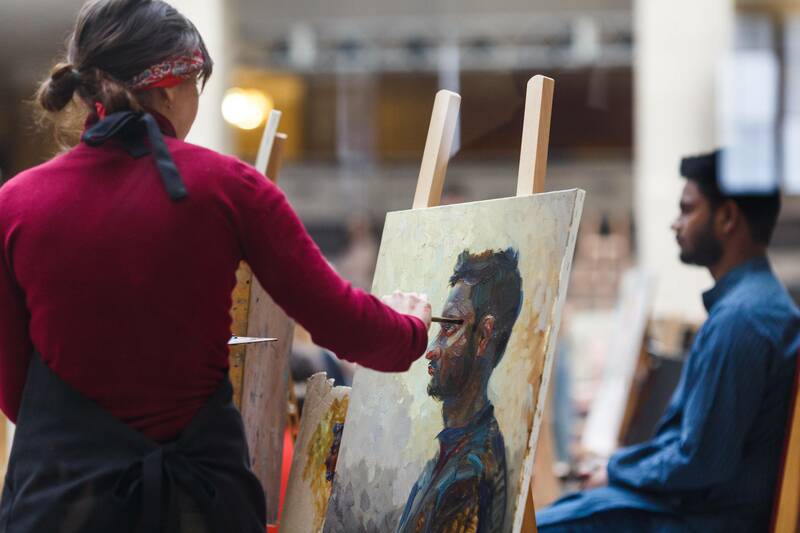 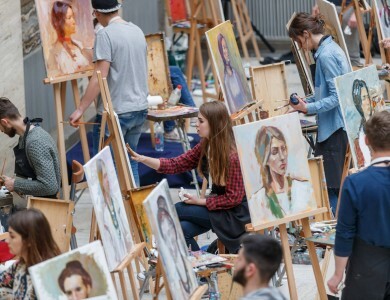 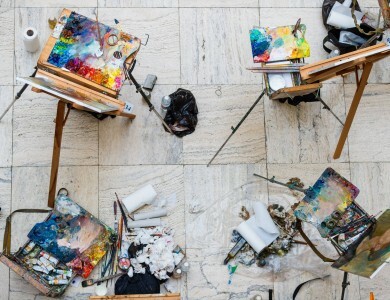 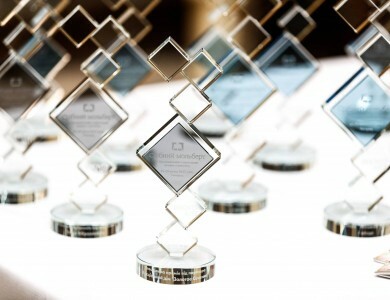 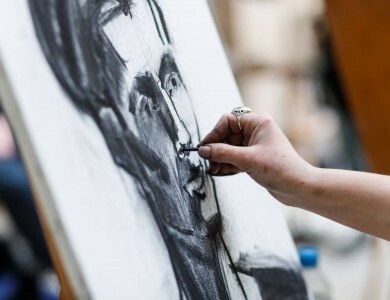 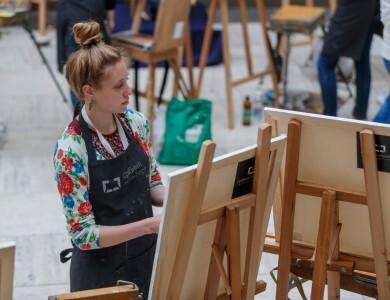 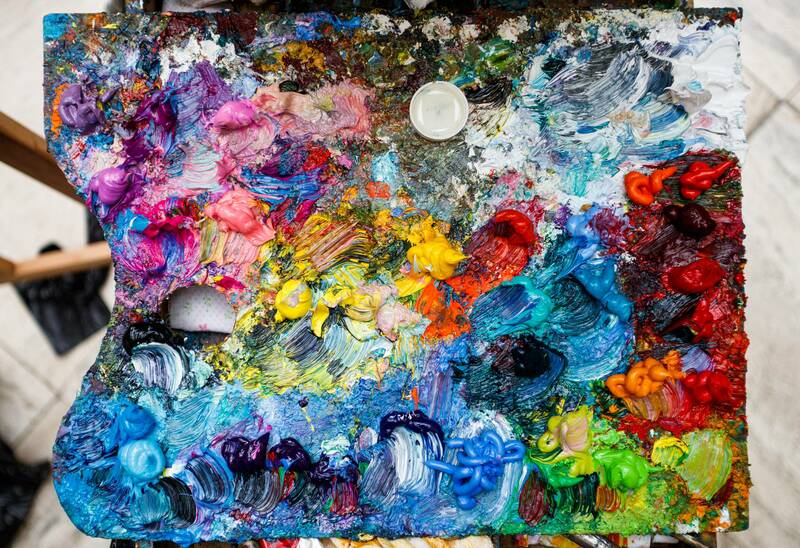 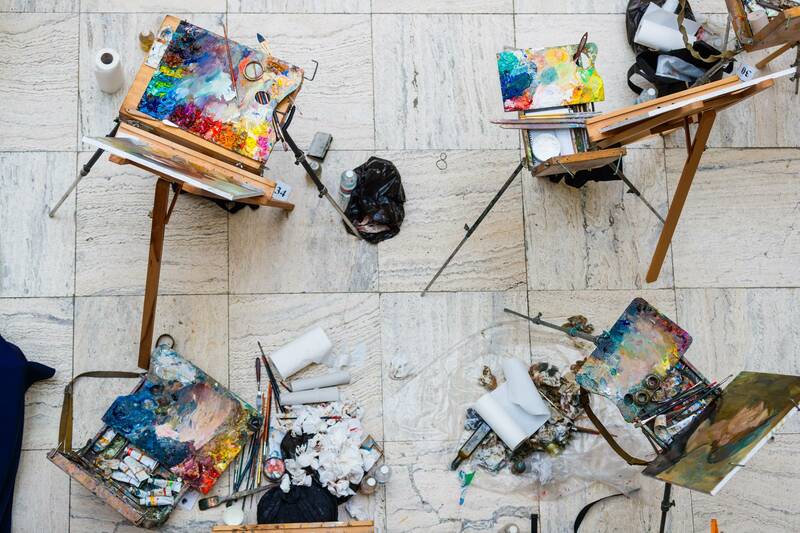 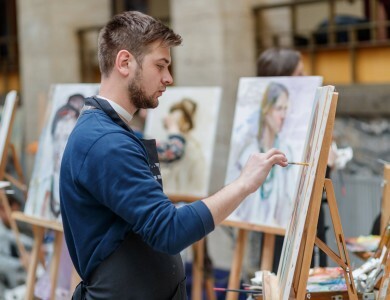 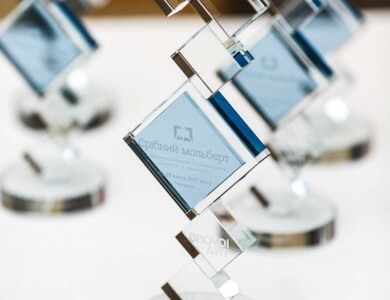 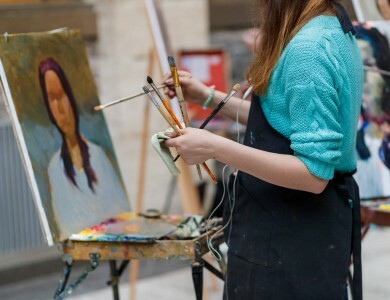 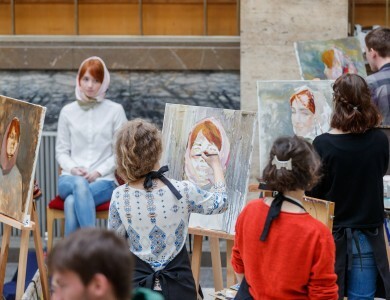 April 28 - the day of implementation of the third, last, and the most complicated competitive task “Portrait”. 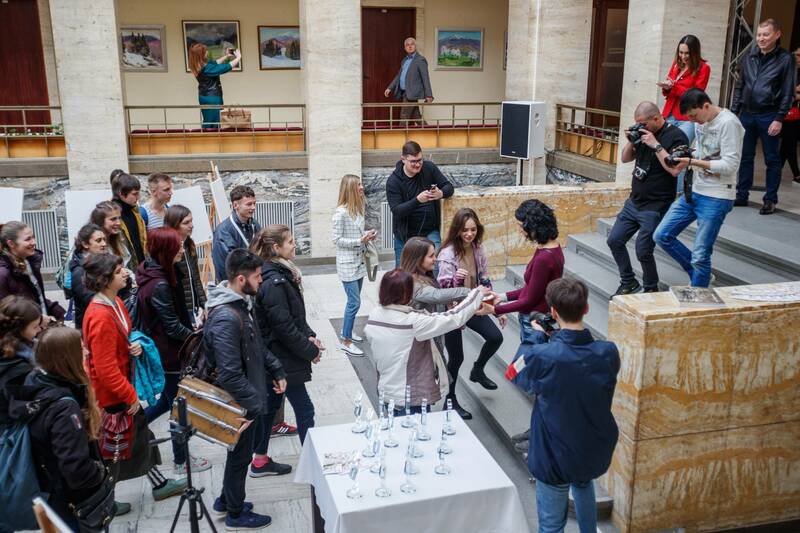 This time there was a surprise for the contestants. 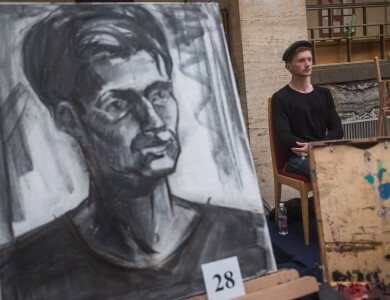 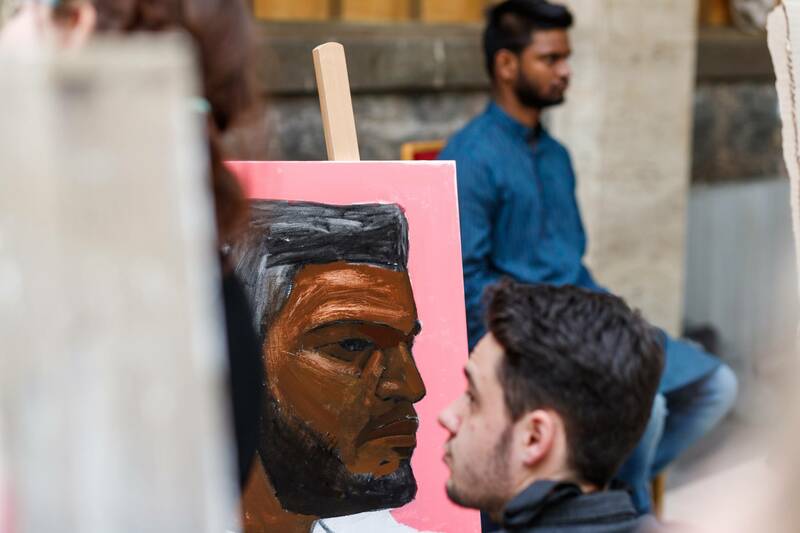 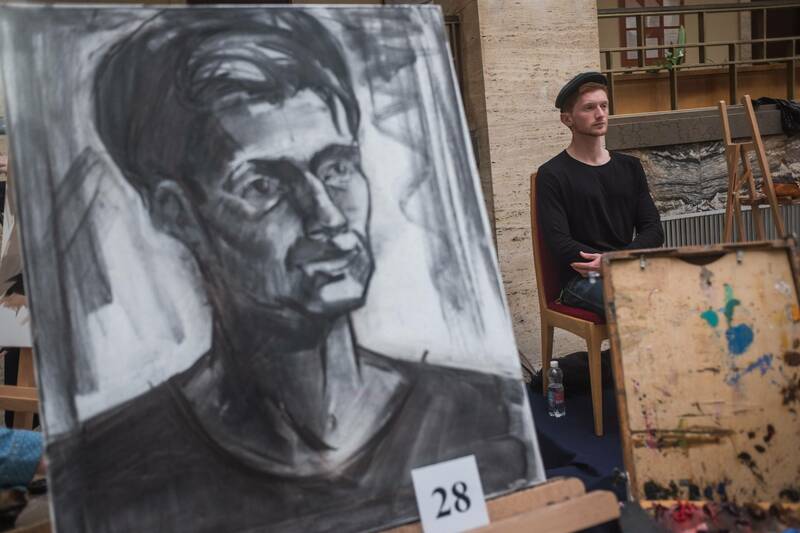 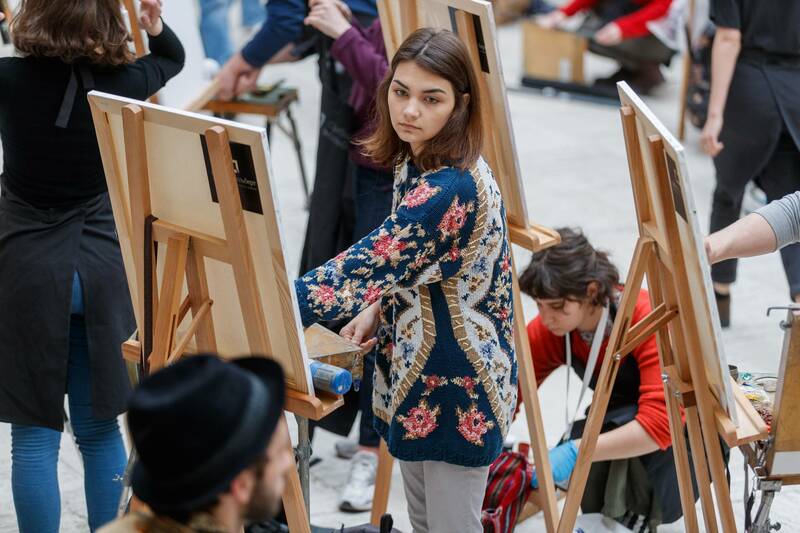 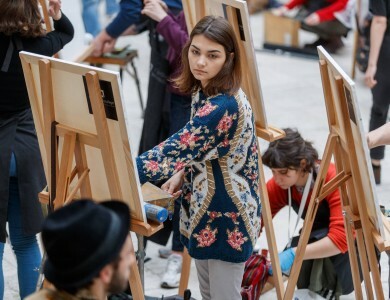 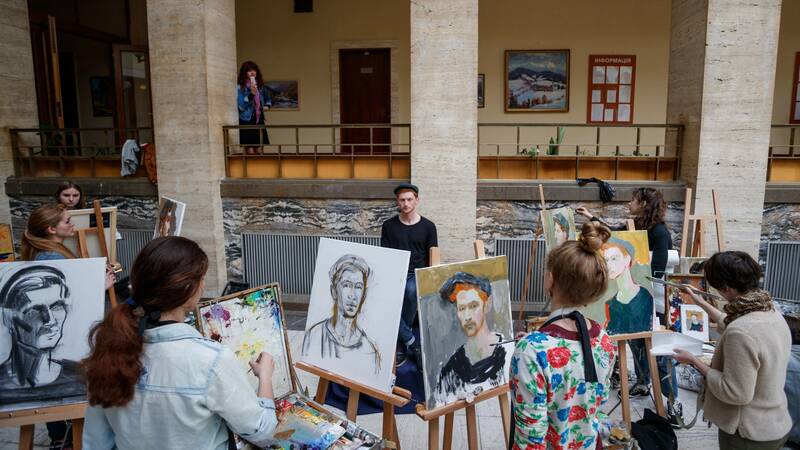 Unlike last year's contest, 8 models of different genders, nationalities and types posed for the young artists. 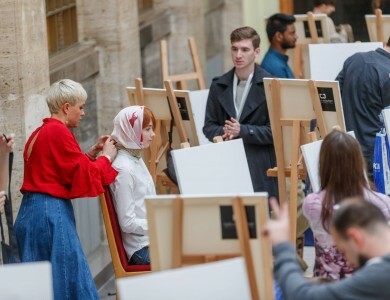 Some of them were dressed in national costumes, which gave the coloration and allowed contestants to boldly operate with colours and shades. 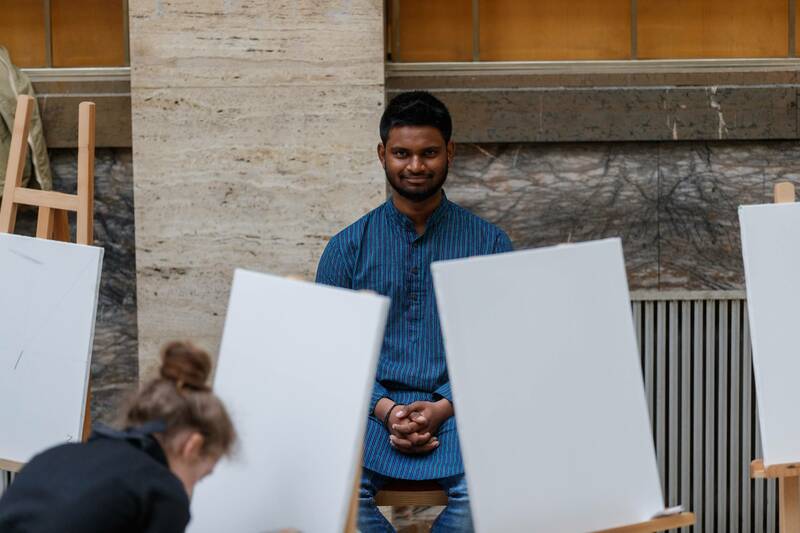 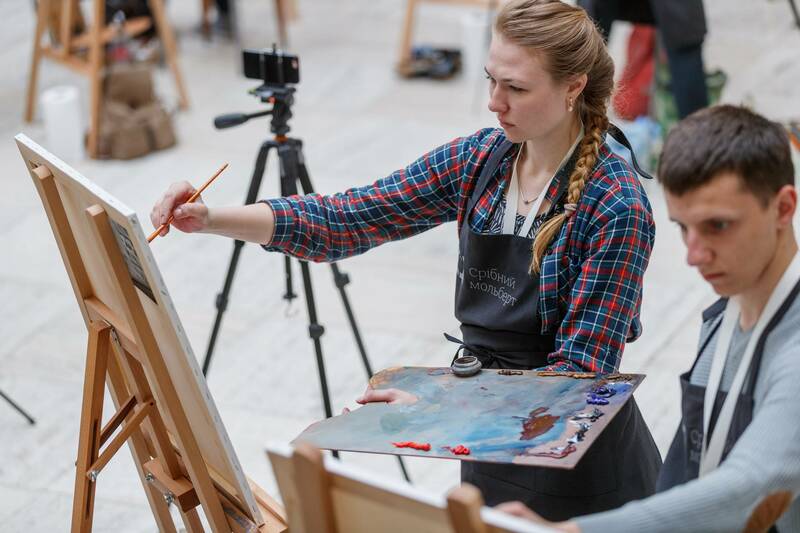 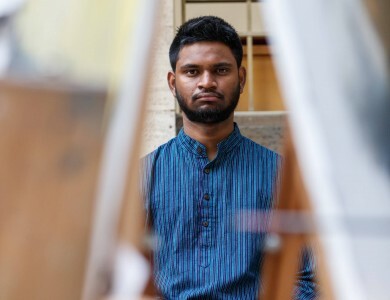 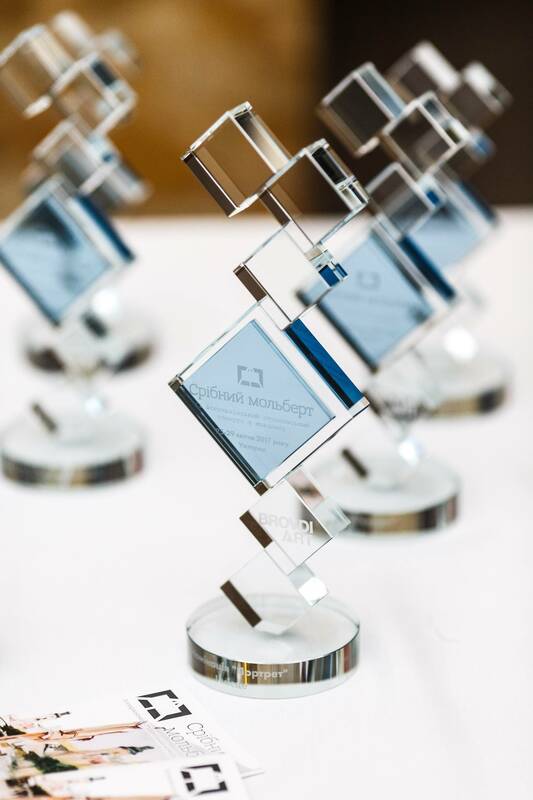 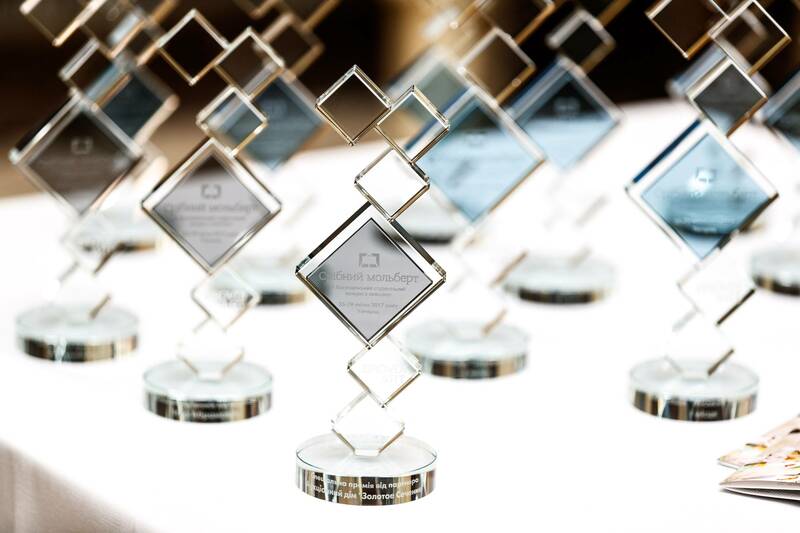 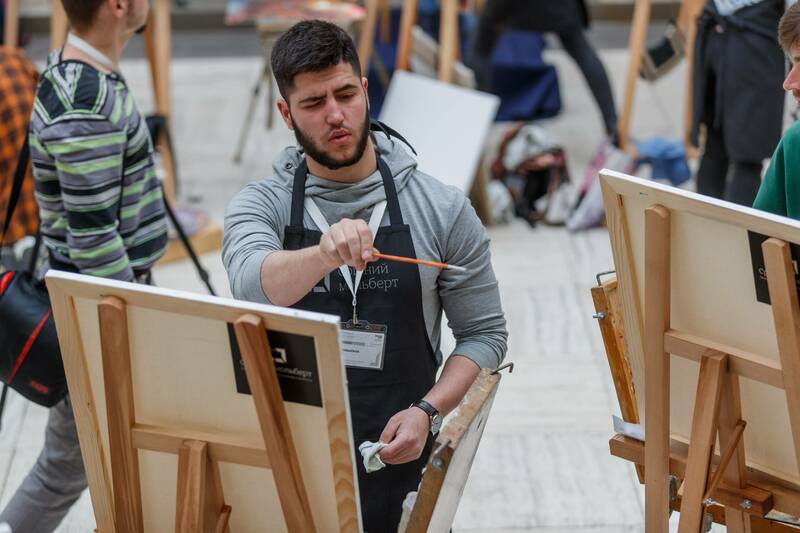 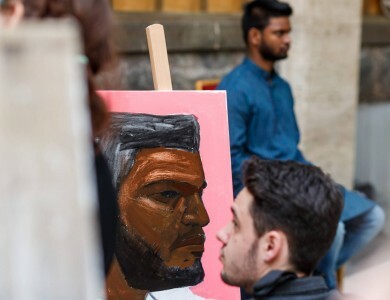 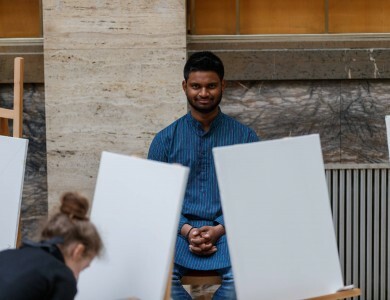 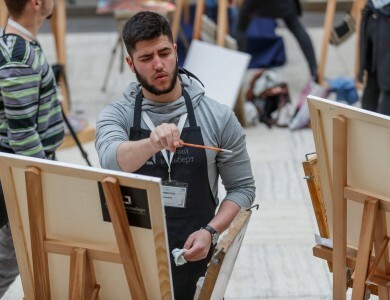 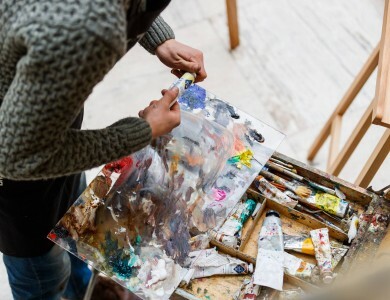 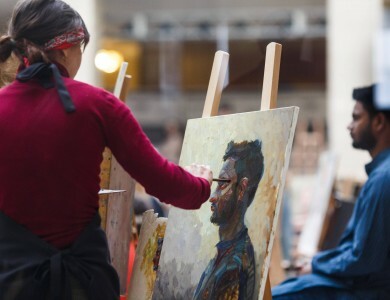 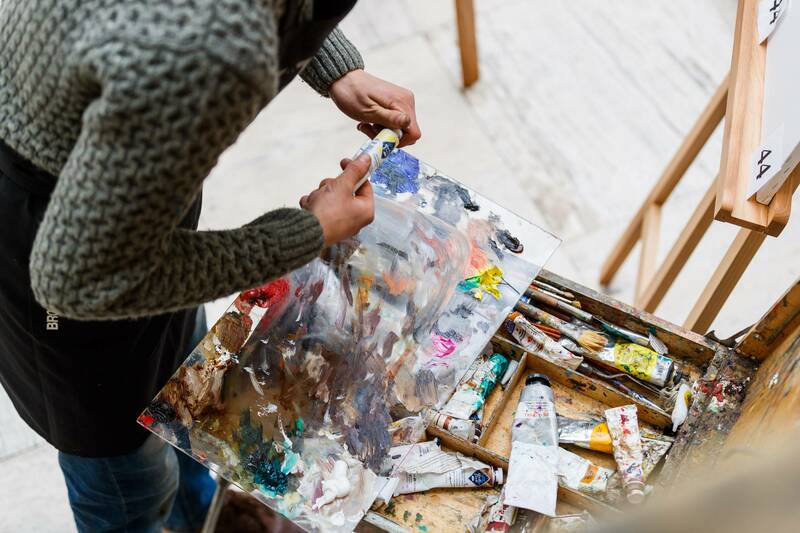 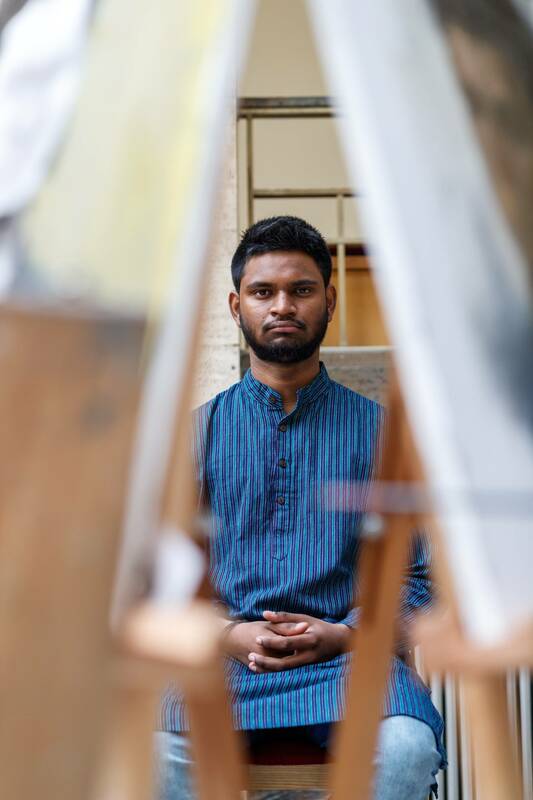 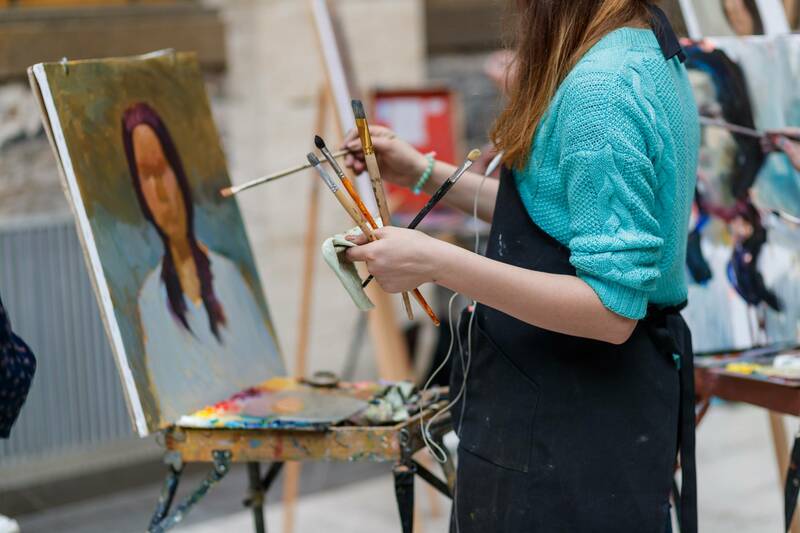 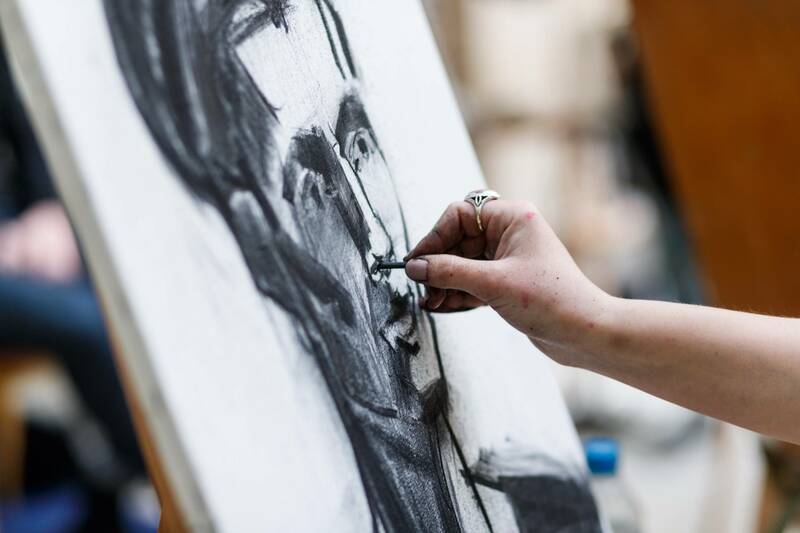 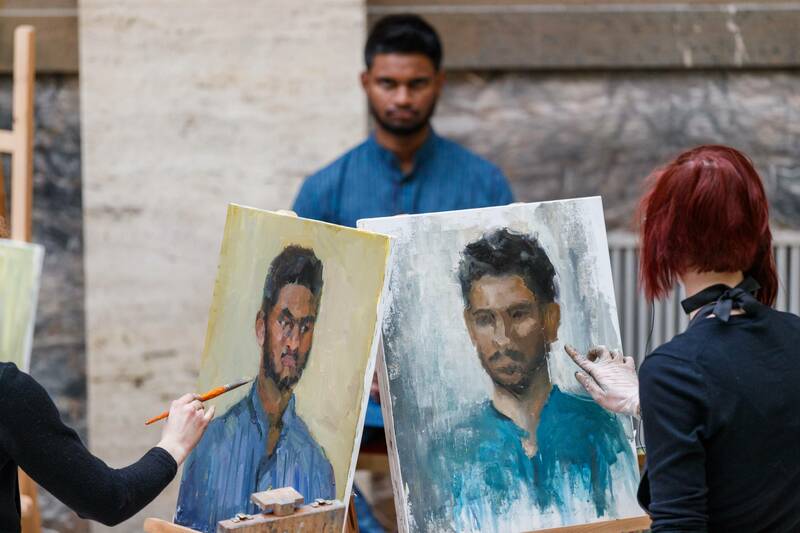 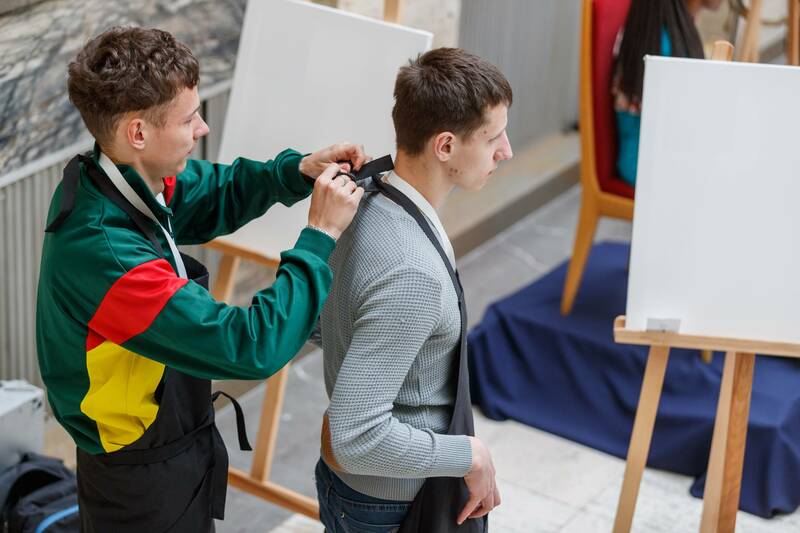 This approach significantly diversified and enriched this difficult academic task, allowing better to display the professional training and individuality of each participant. 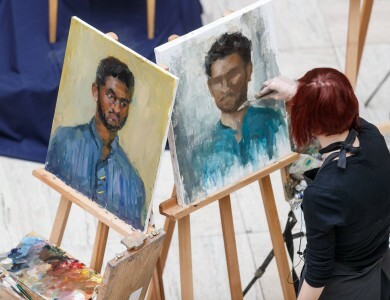 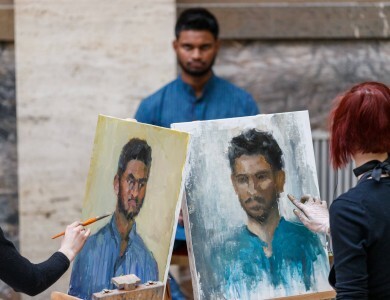 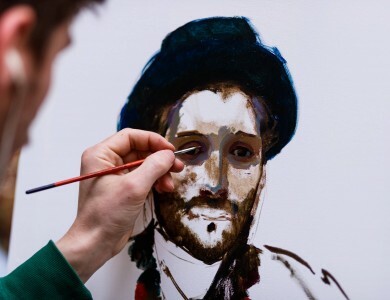 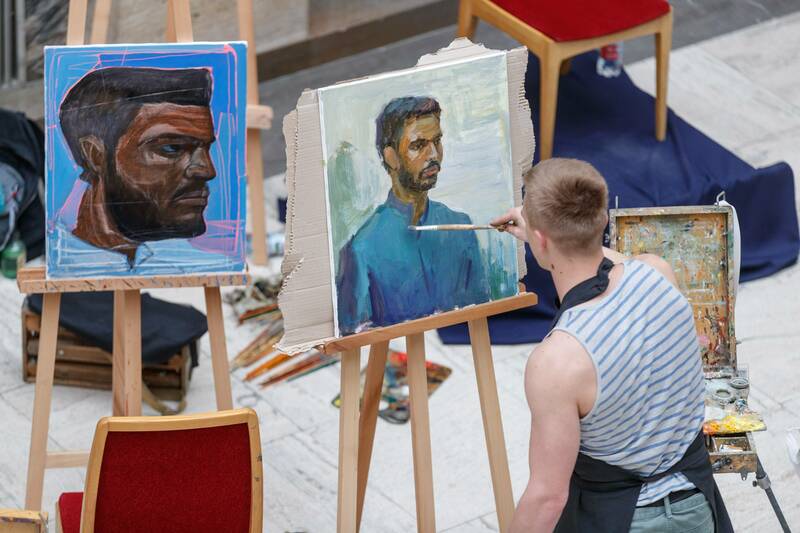 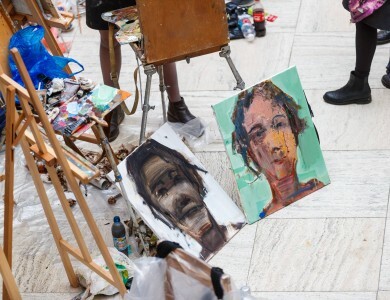 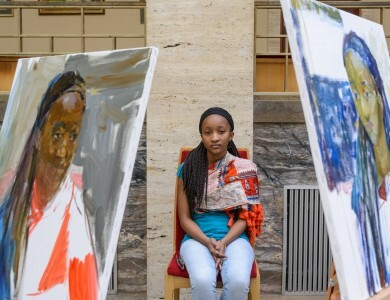 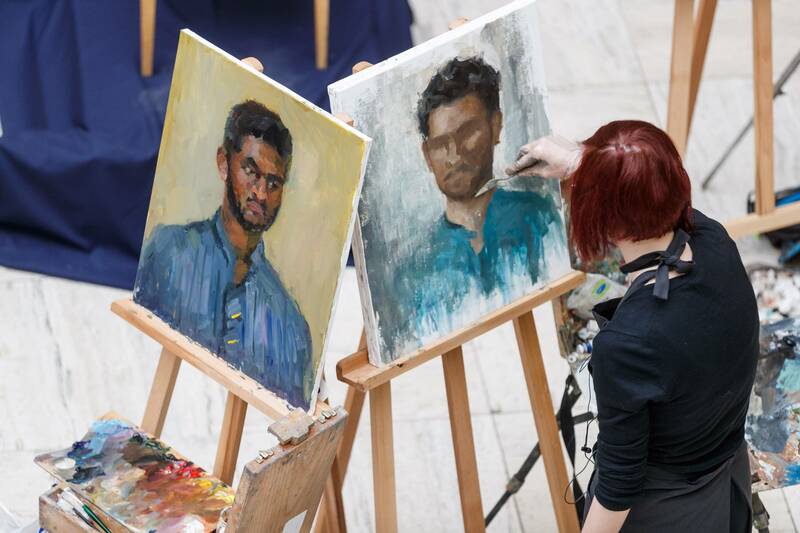 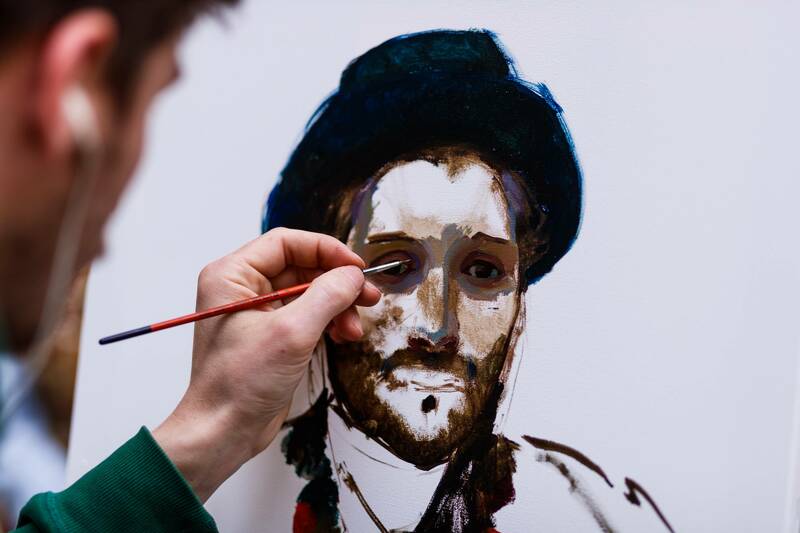 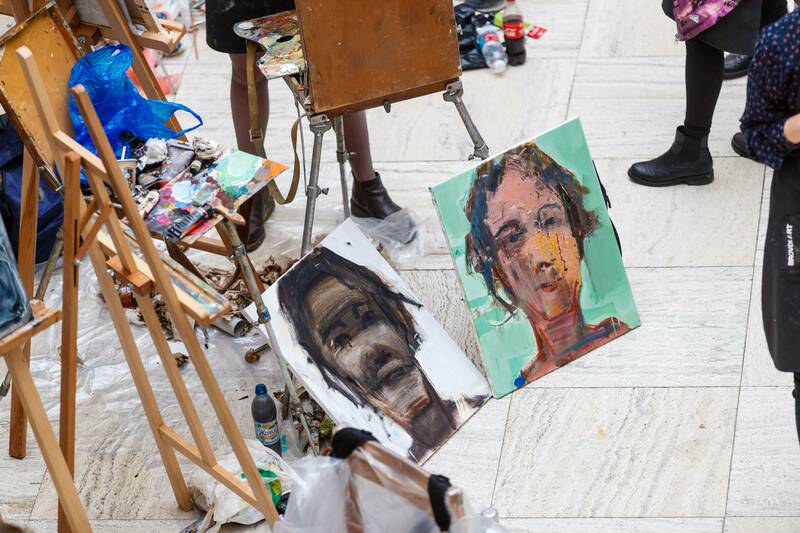 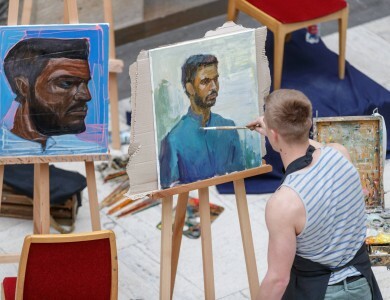 As a result, each of the portraits was really original and interesting. 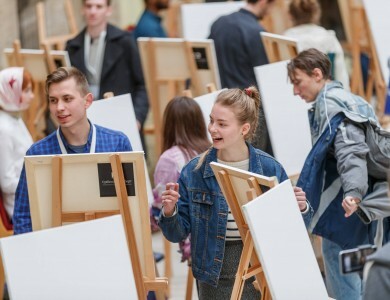 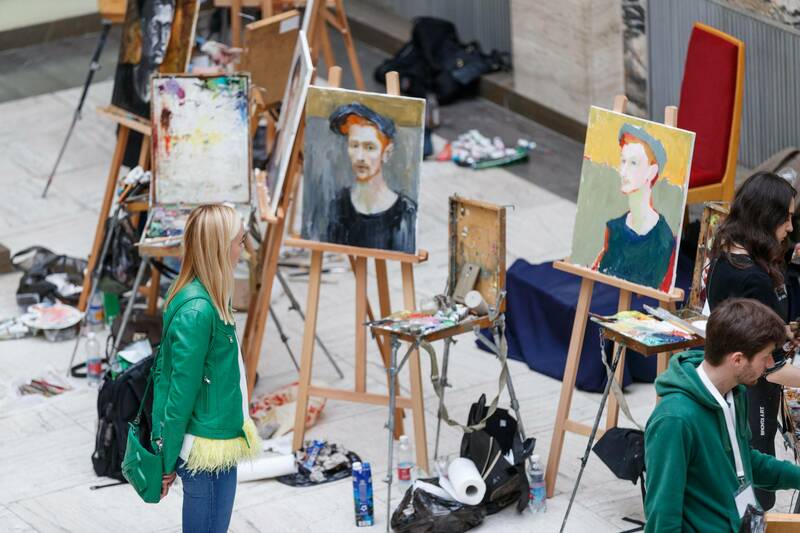 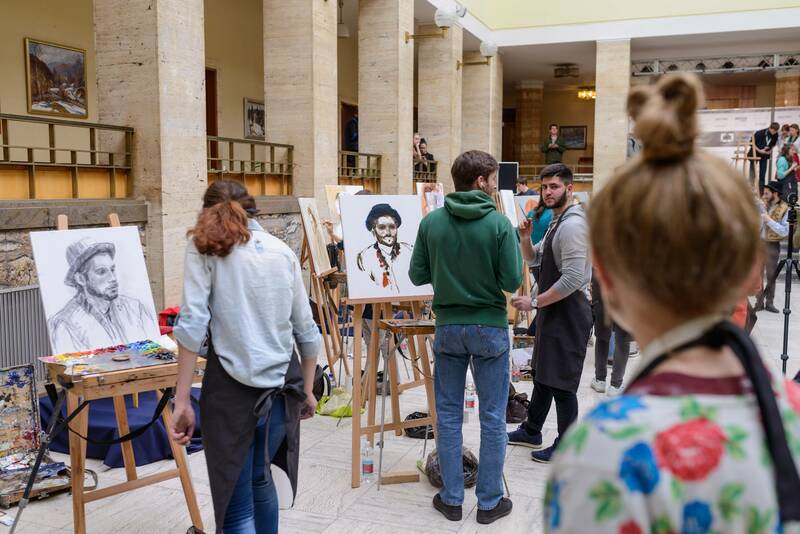 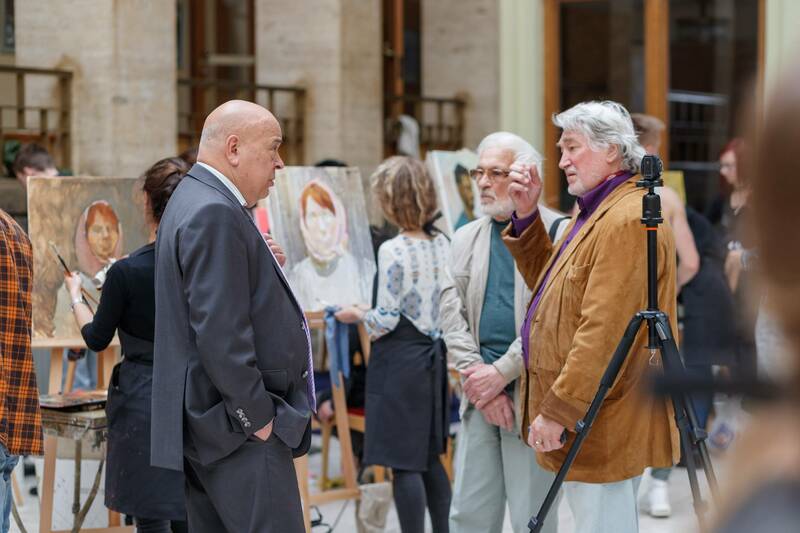 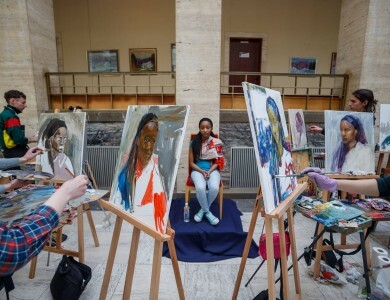 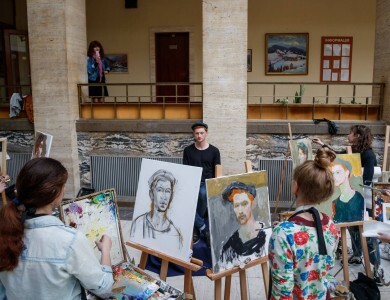 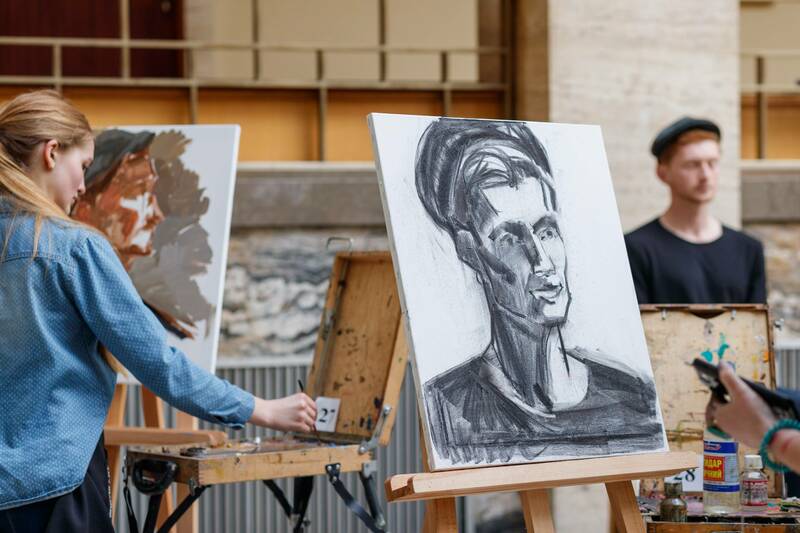 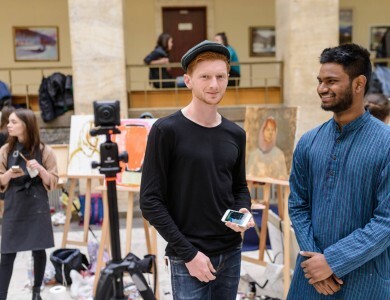 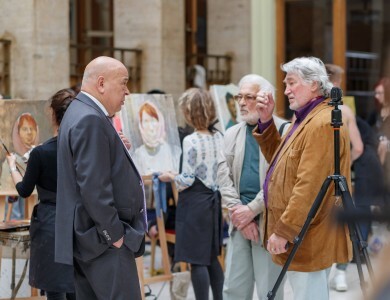 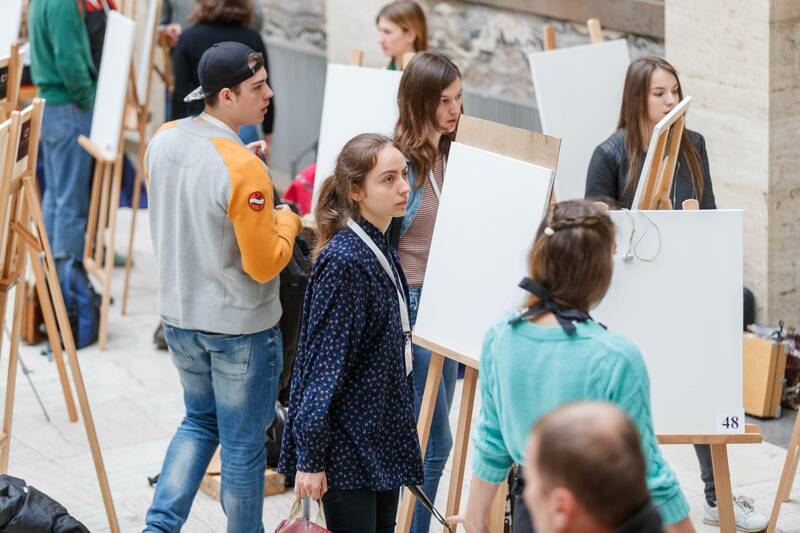 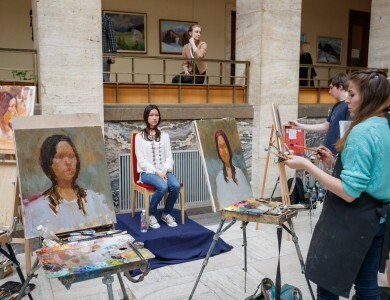 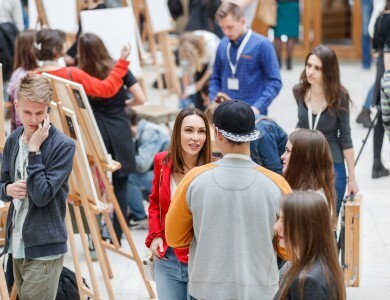 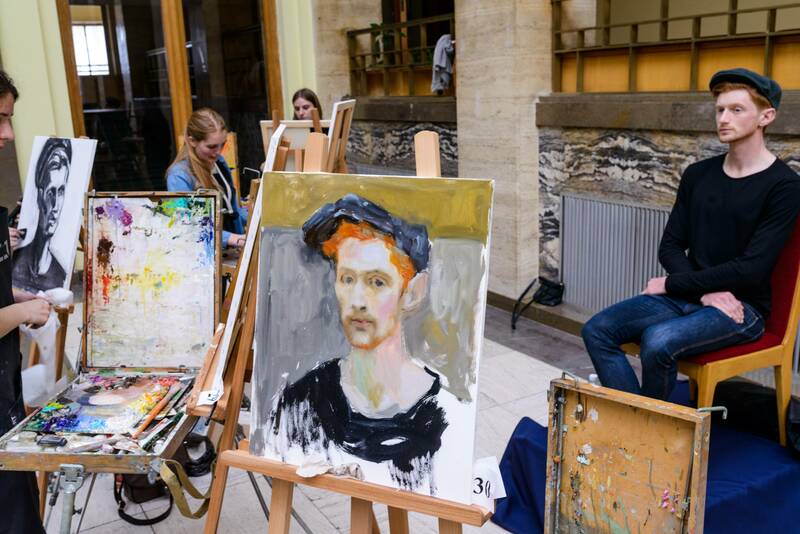 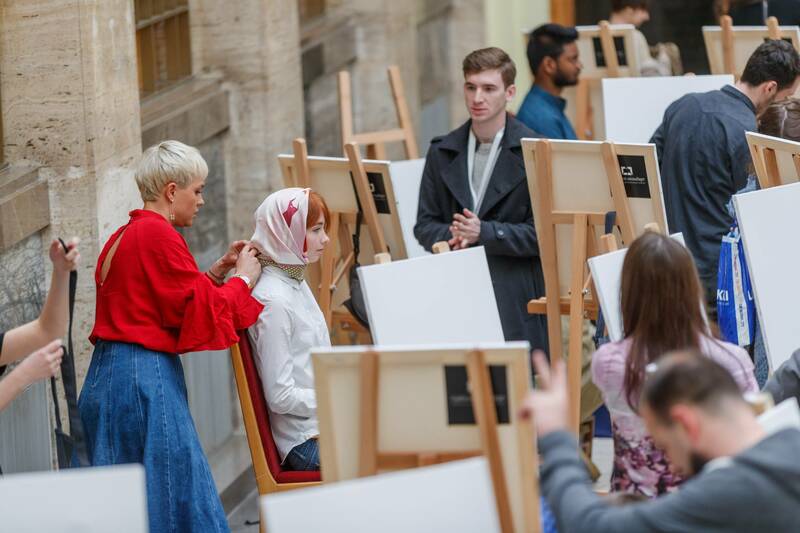 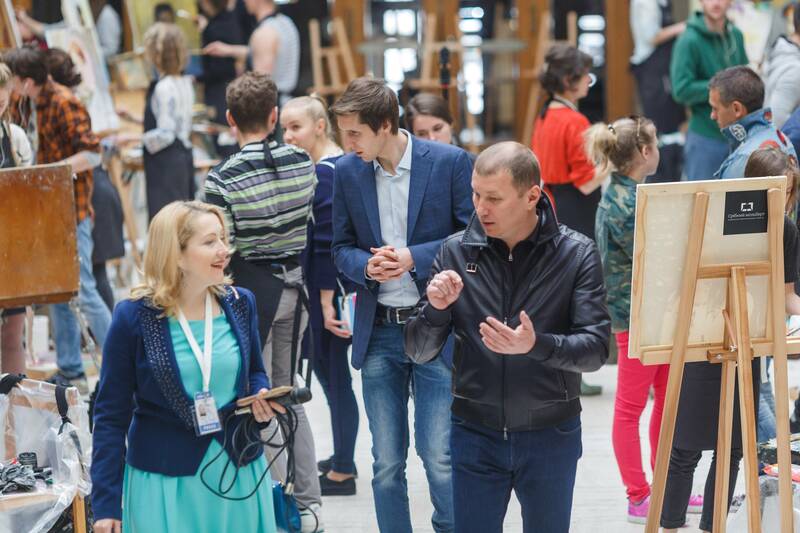 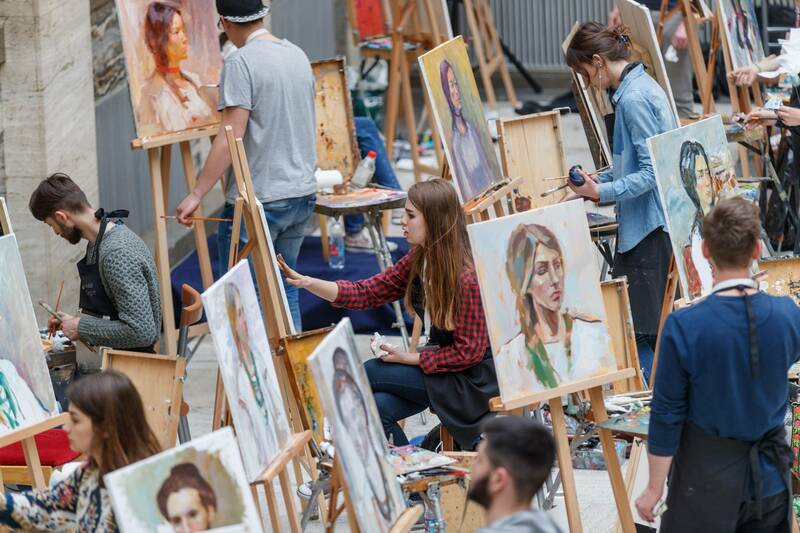 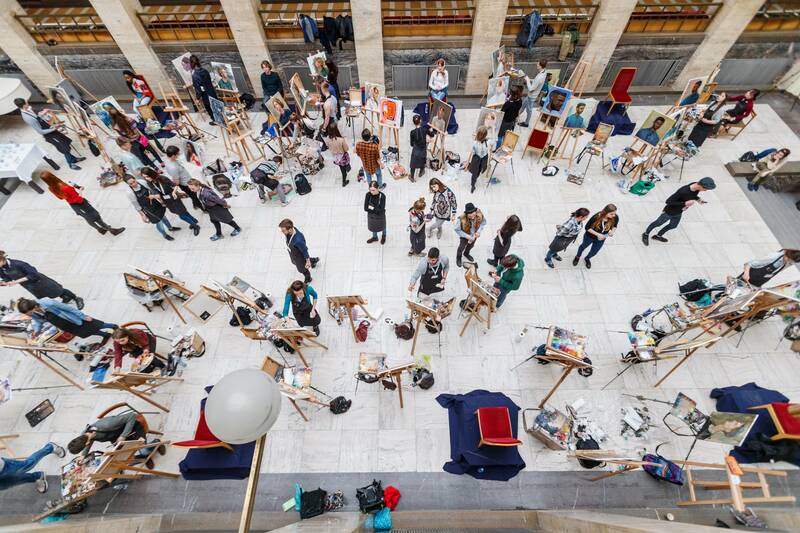 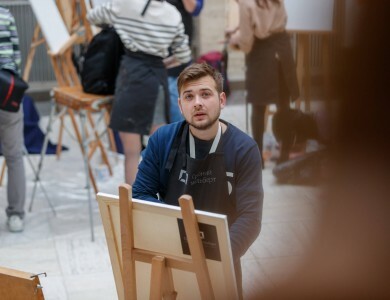 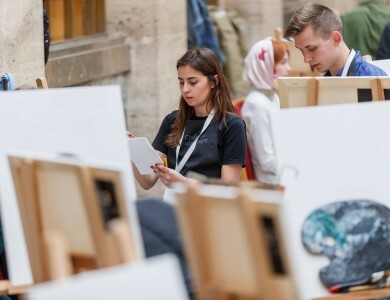 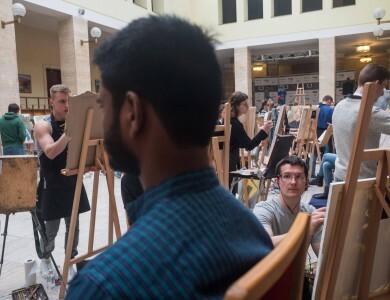 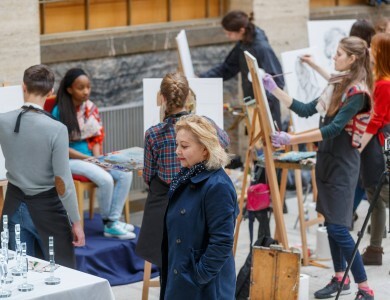 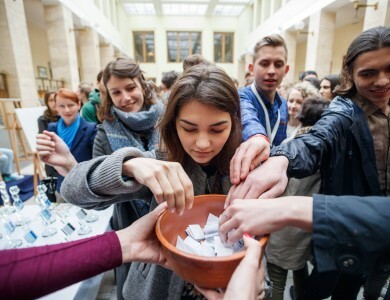 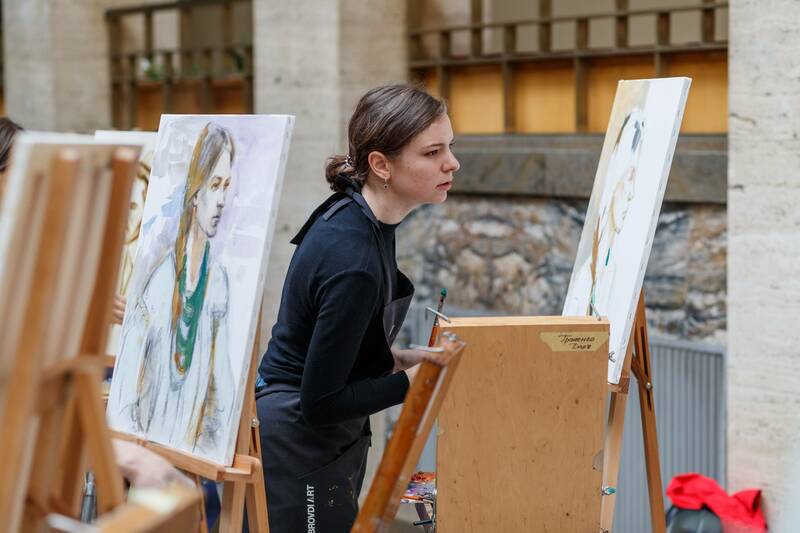 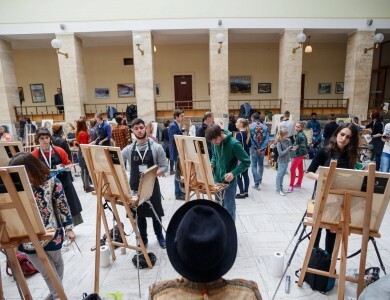 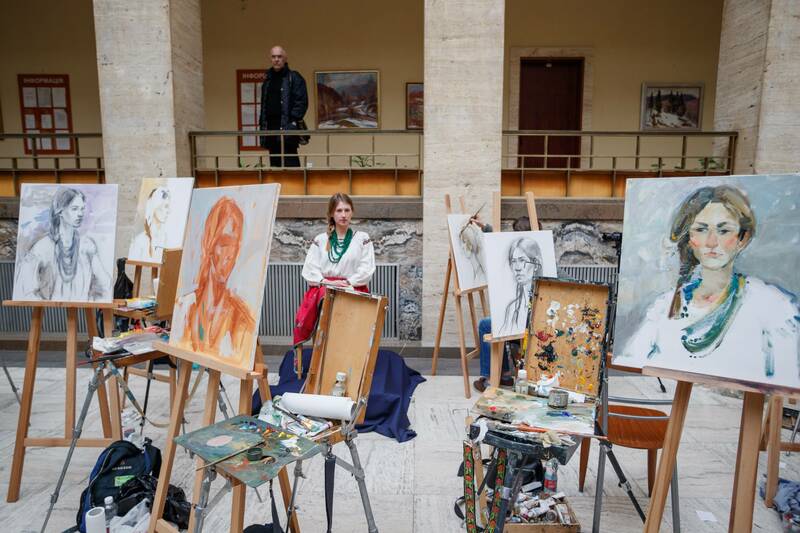 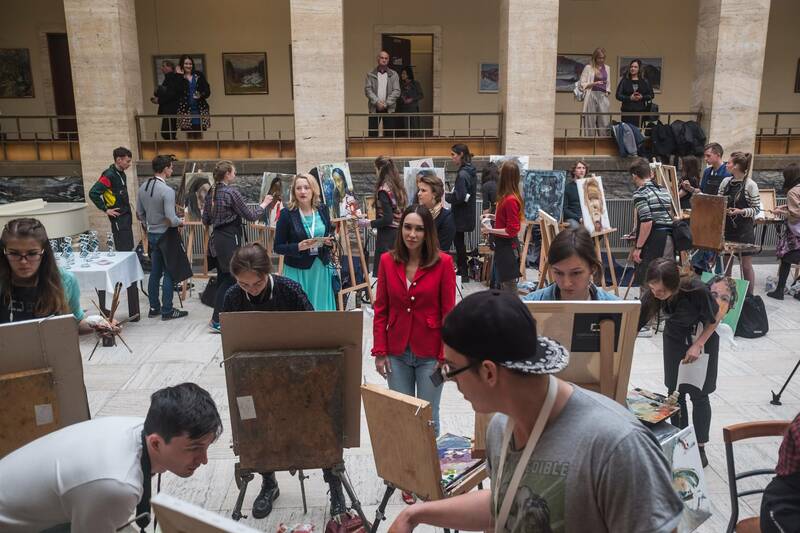 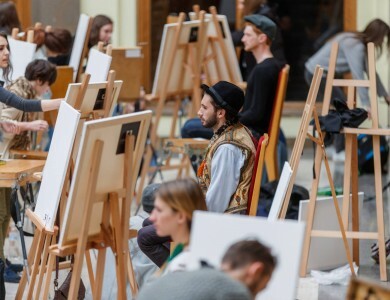 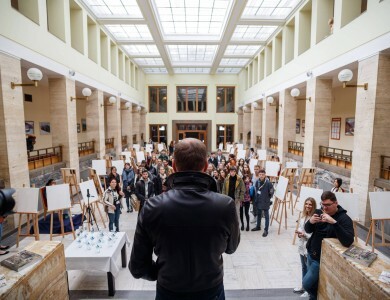 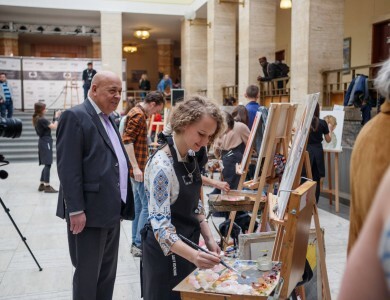 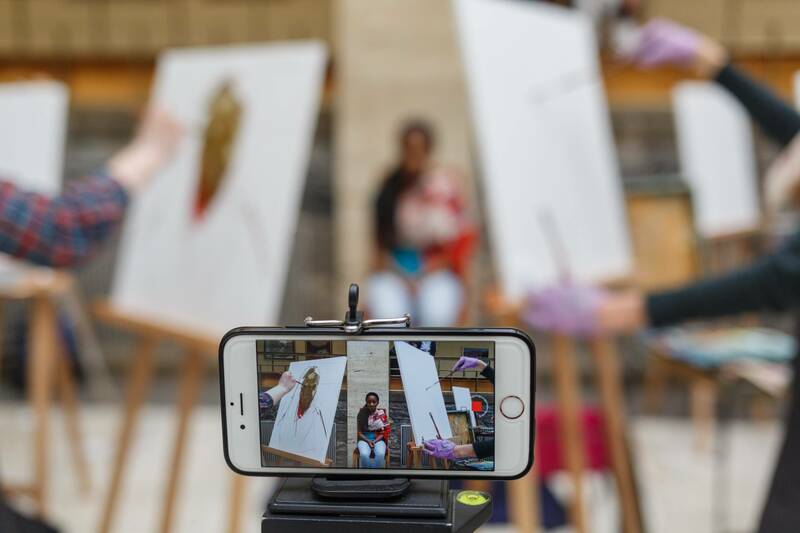 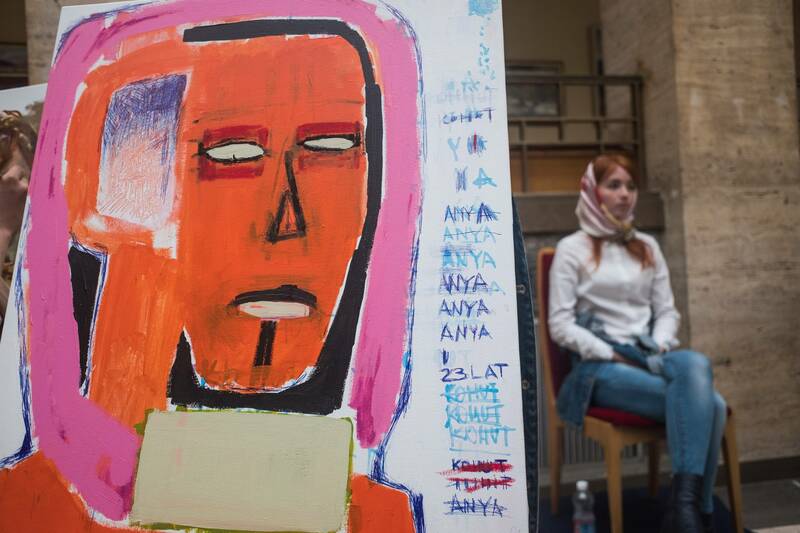 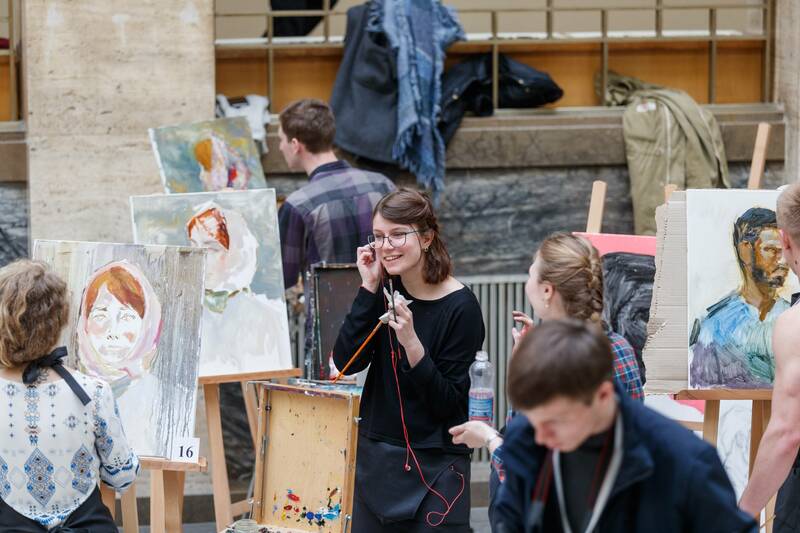 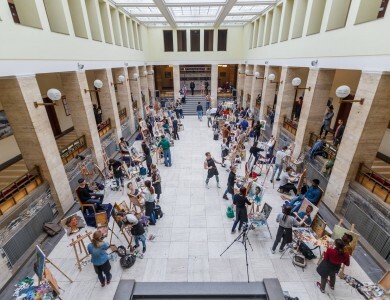 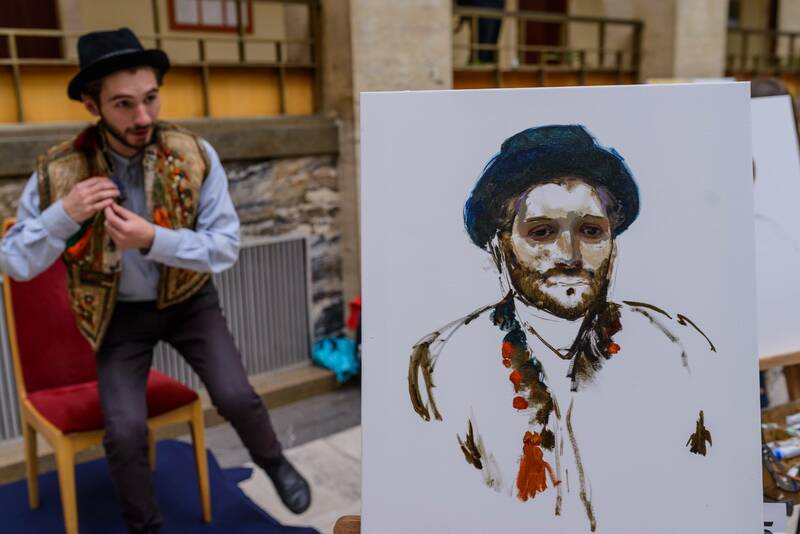 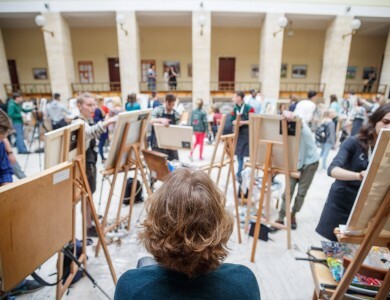 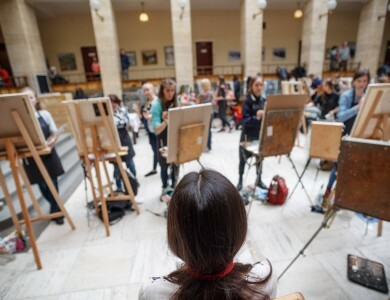 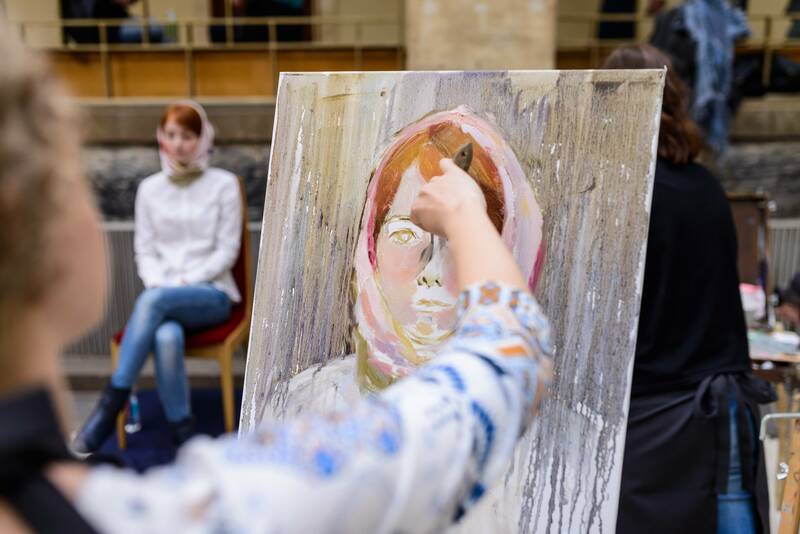 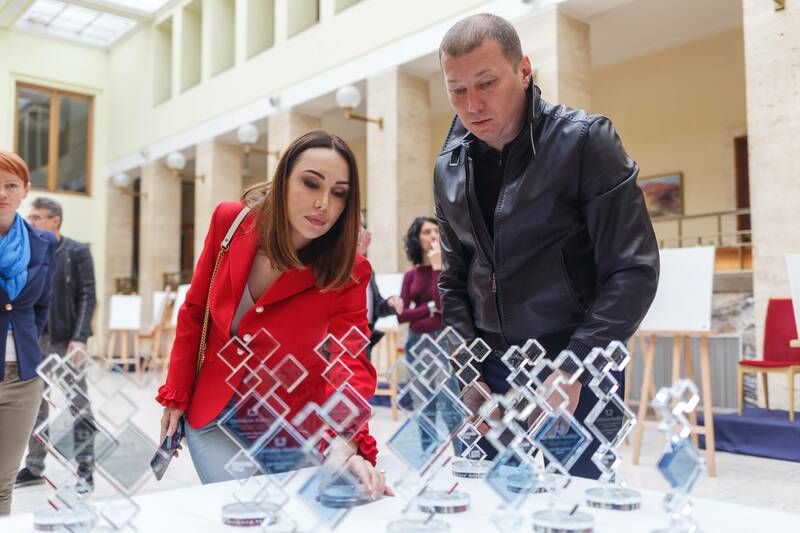 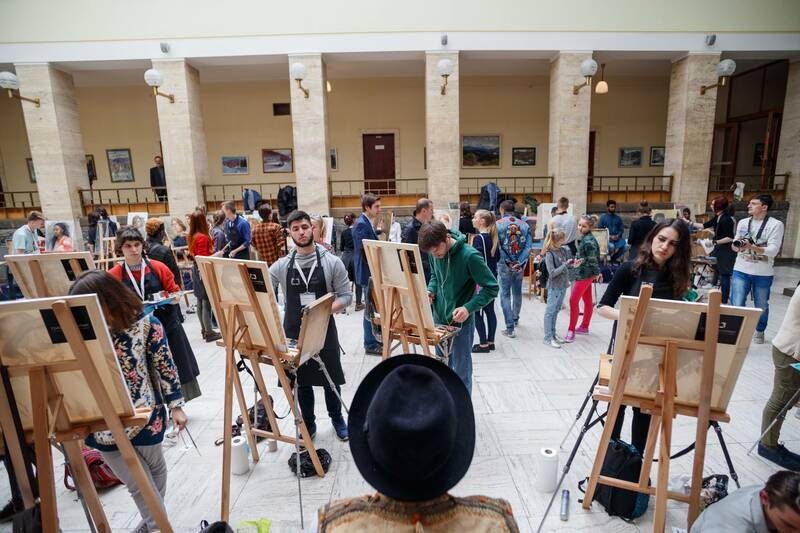 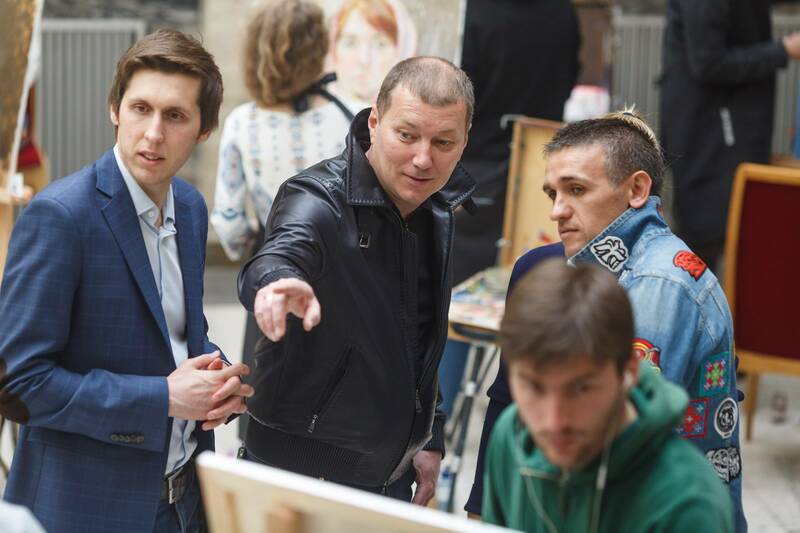 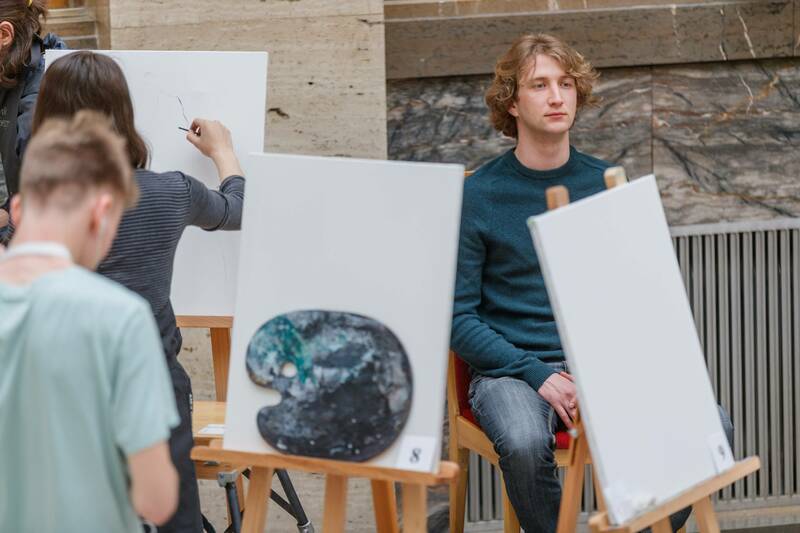 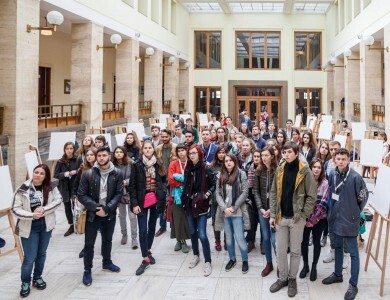 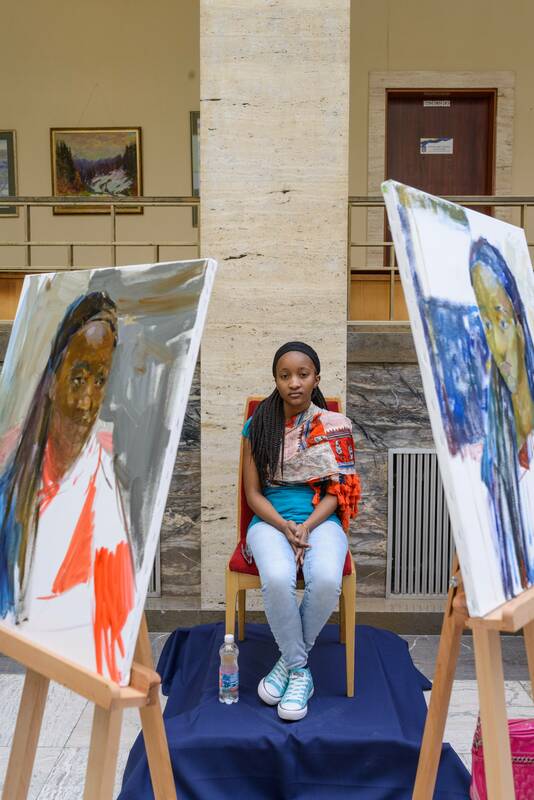 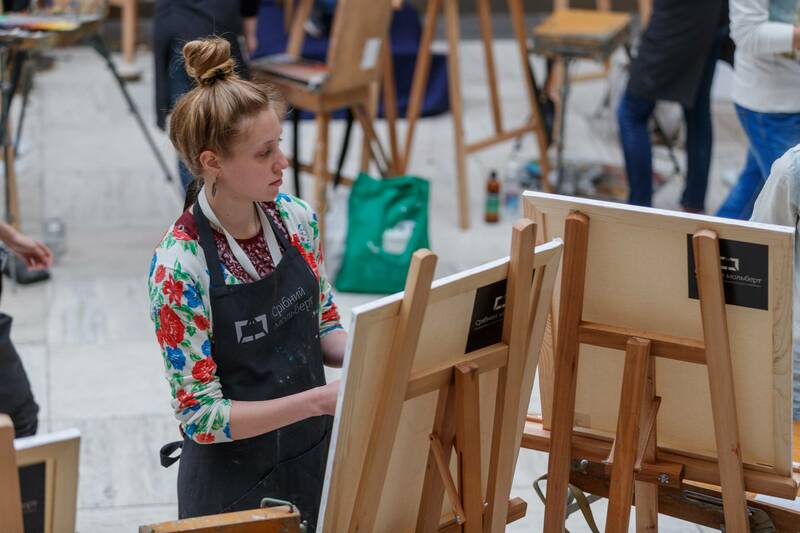 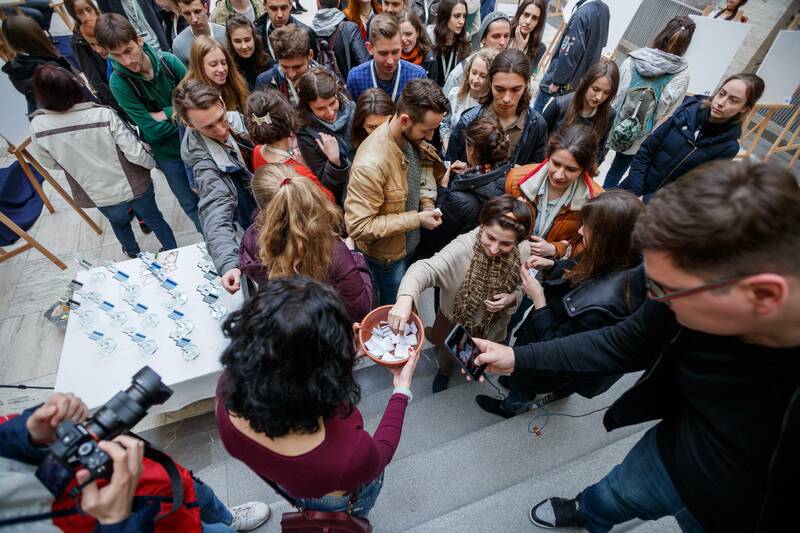 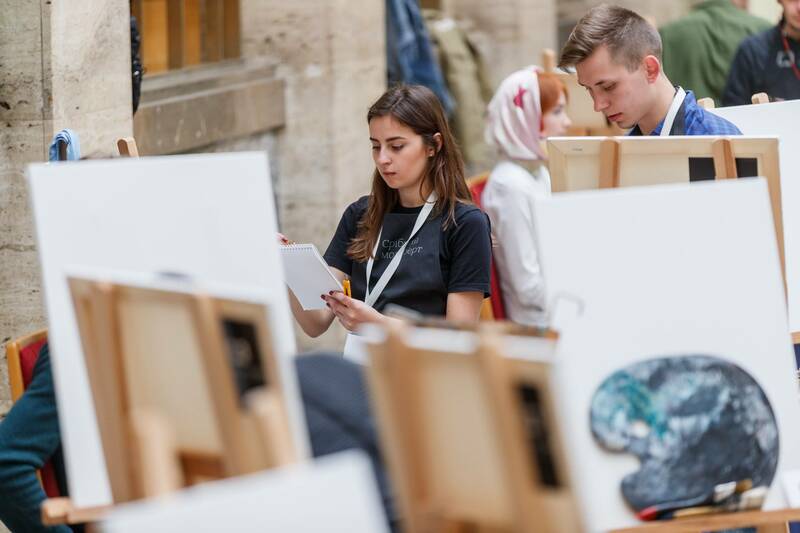 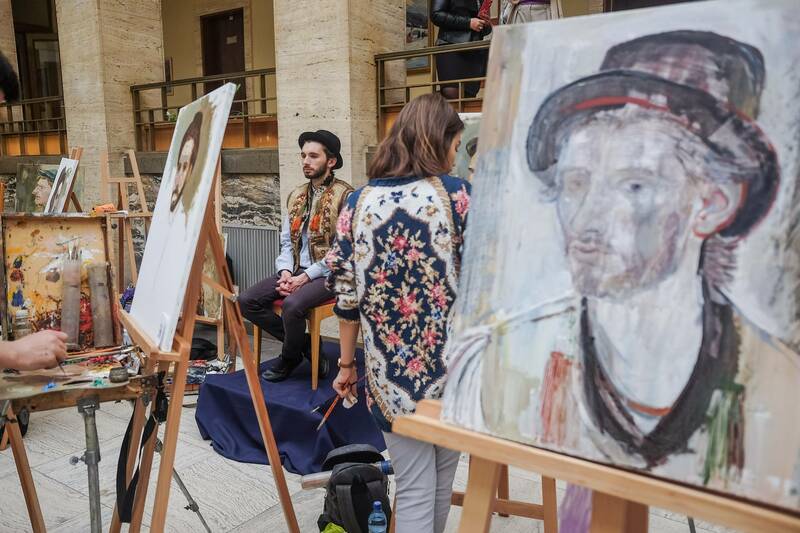 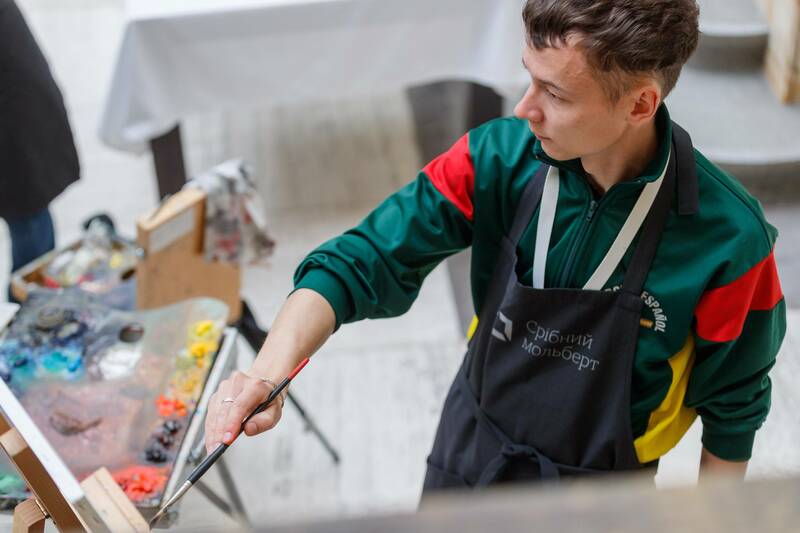 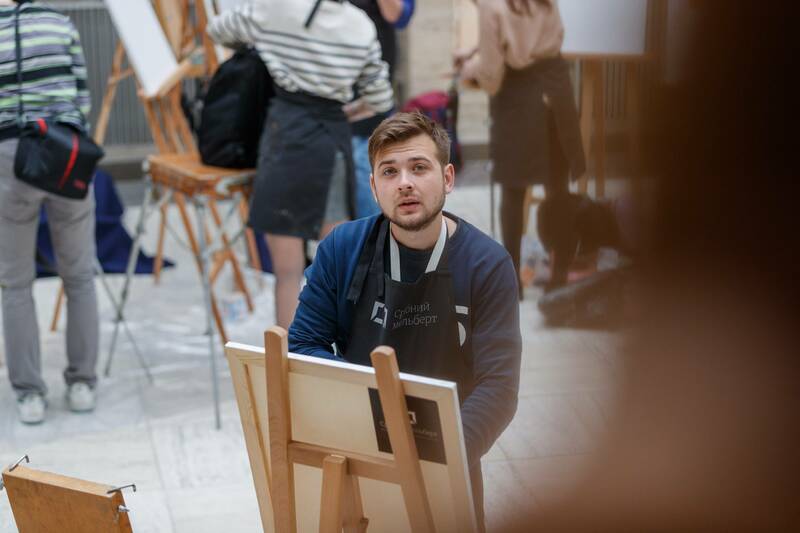 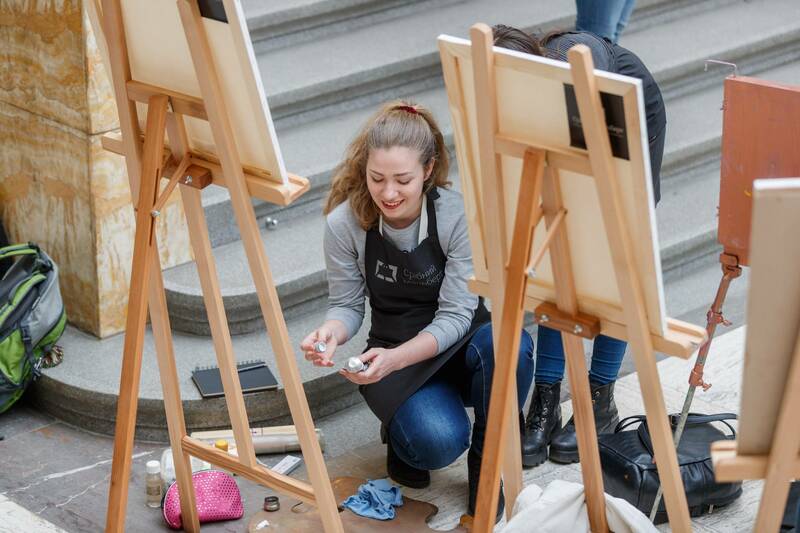 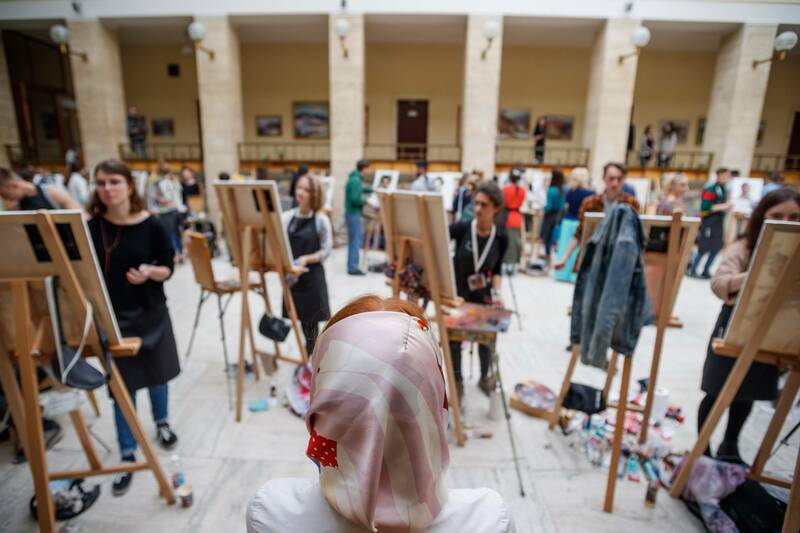 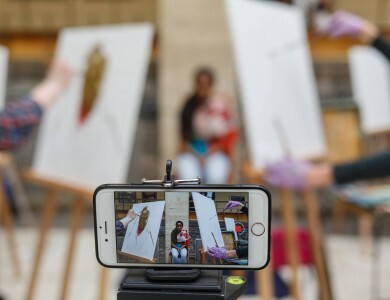 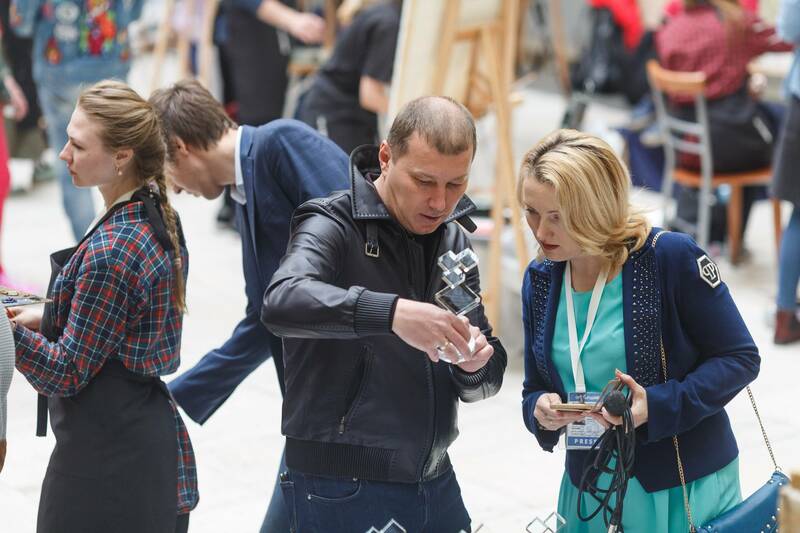 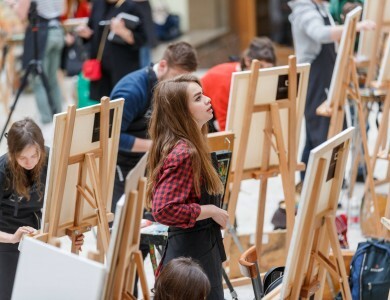 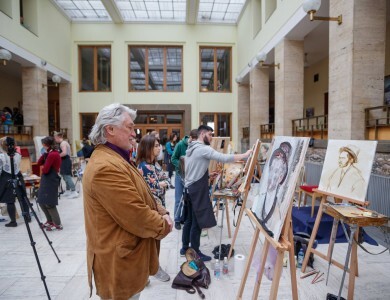 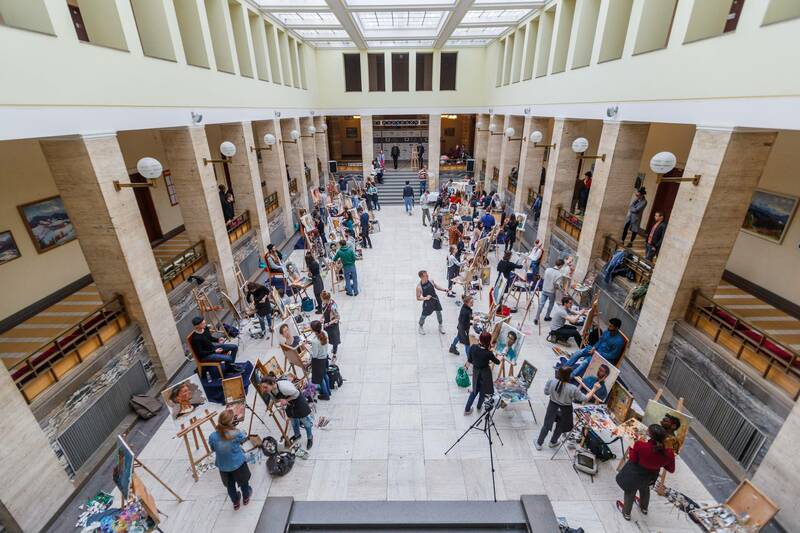 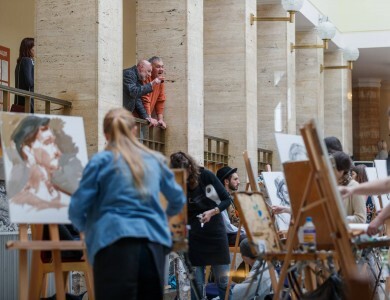 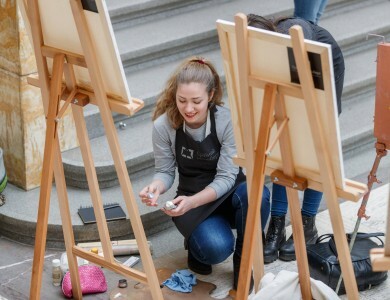 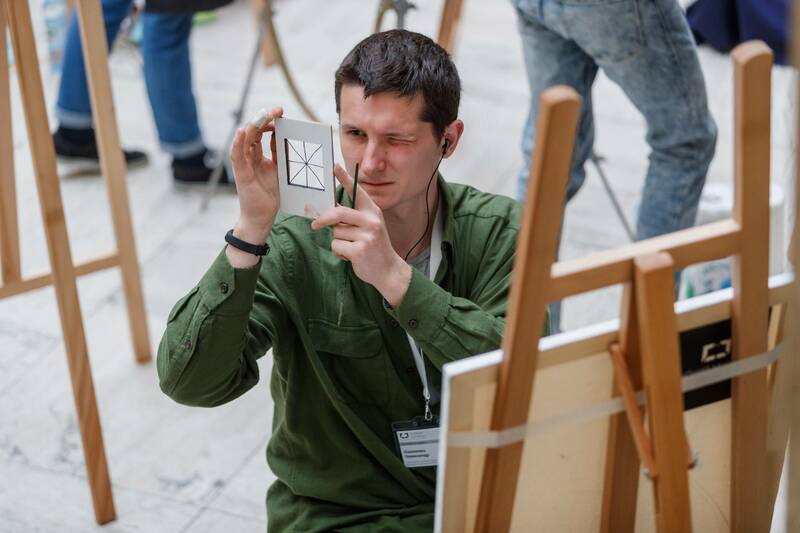 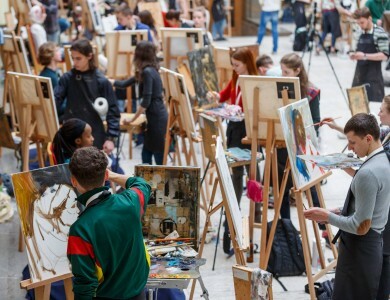 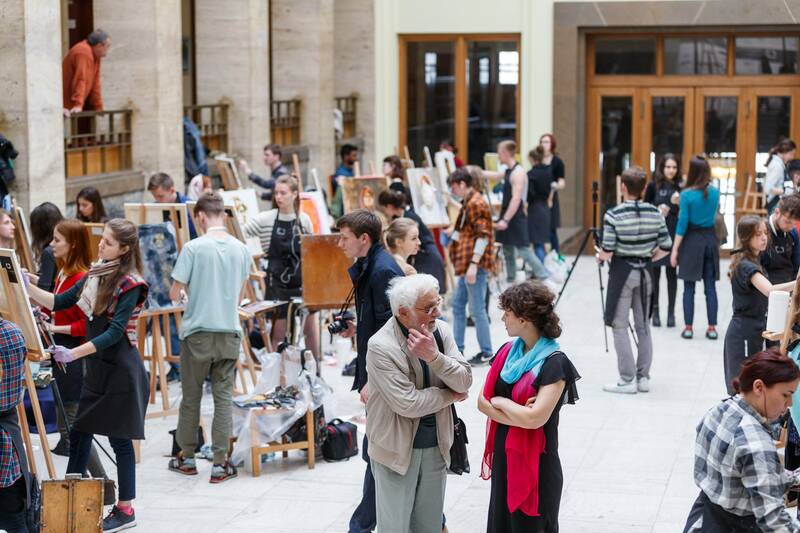 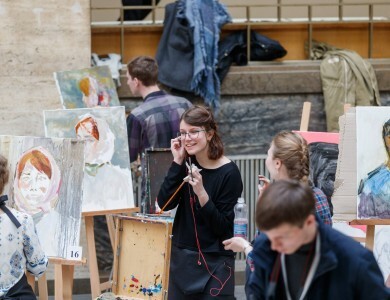 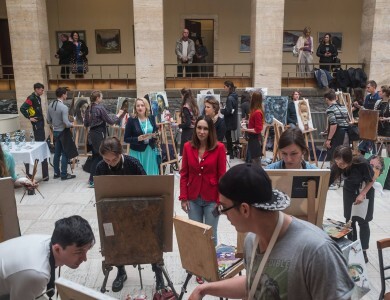 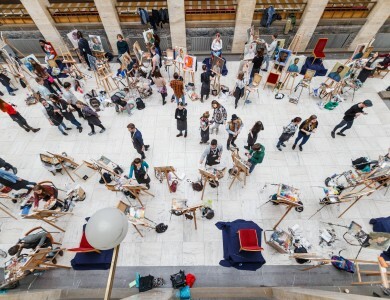 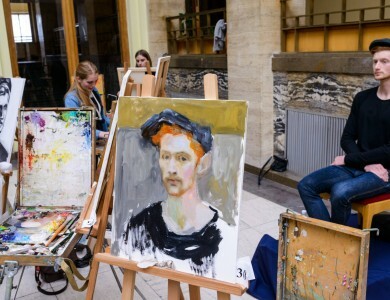 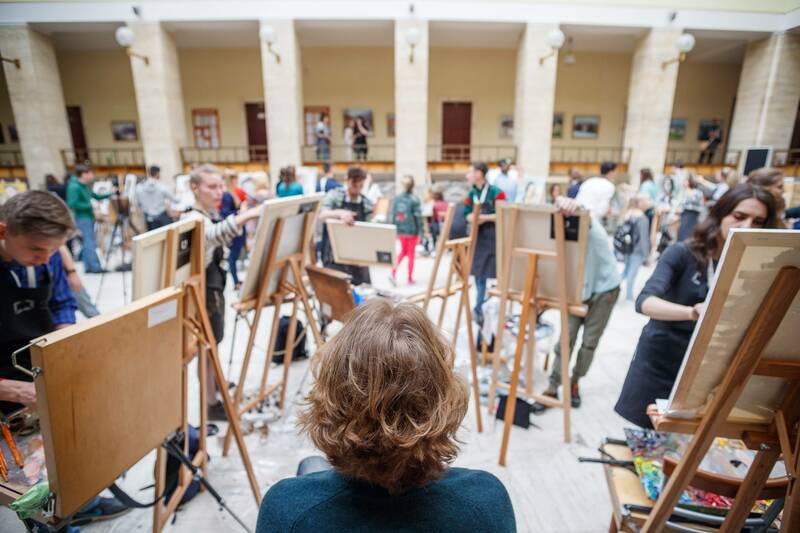 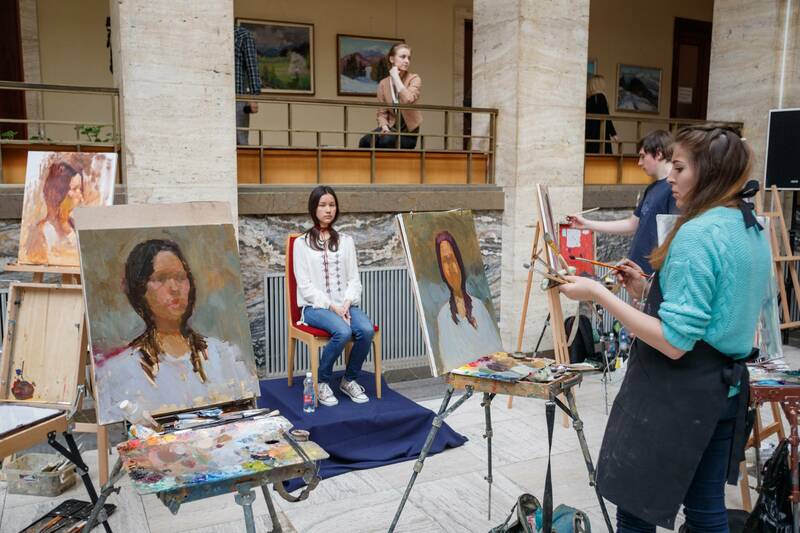 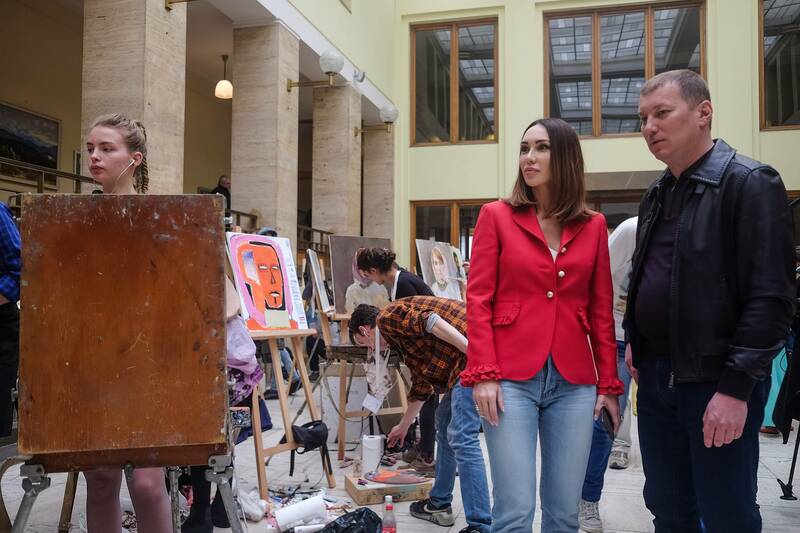 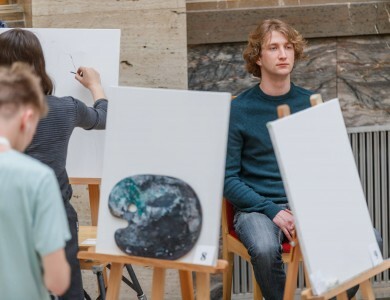 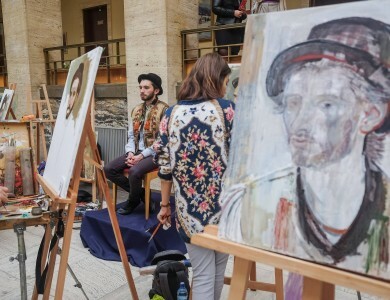 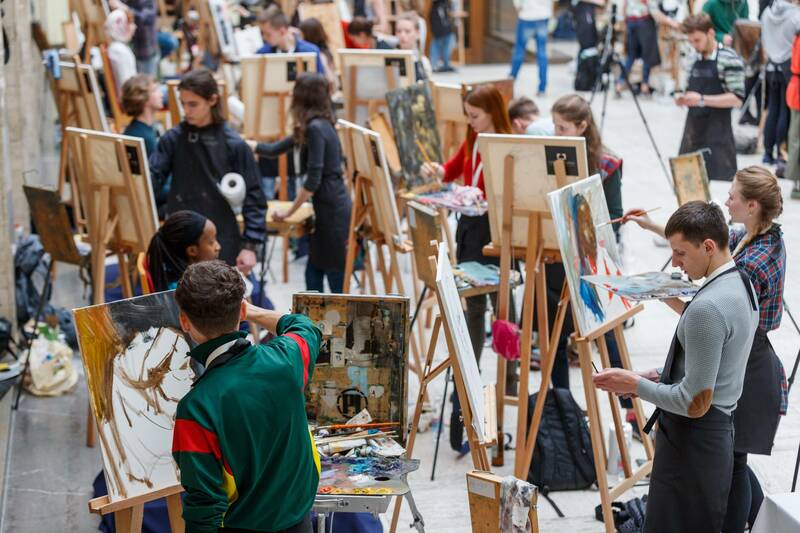 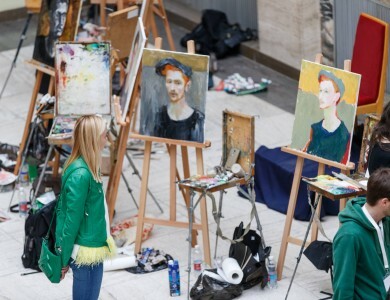 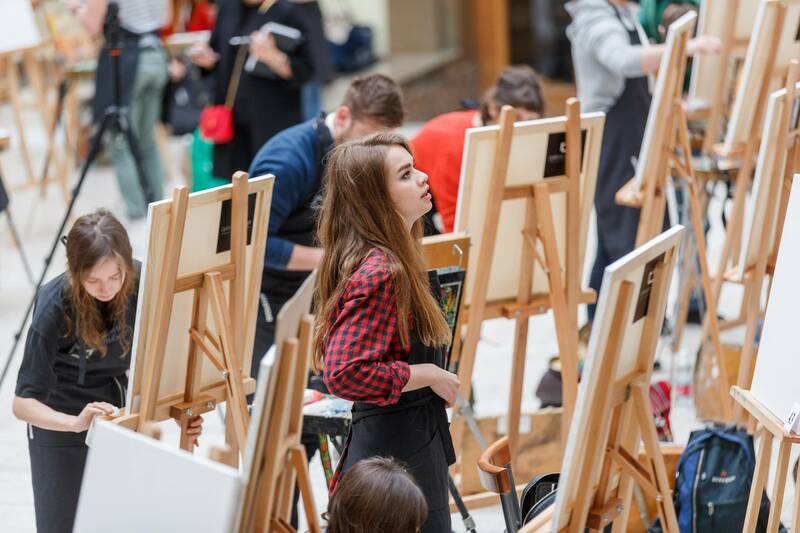 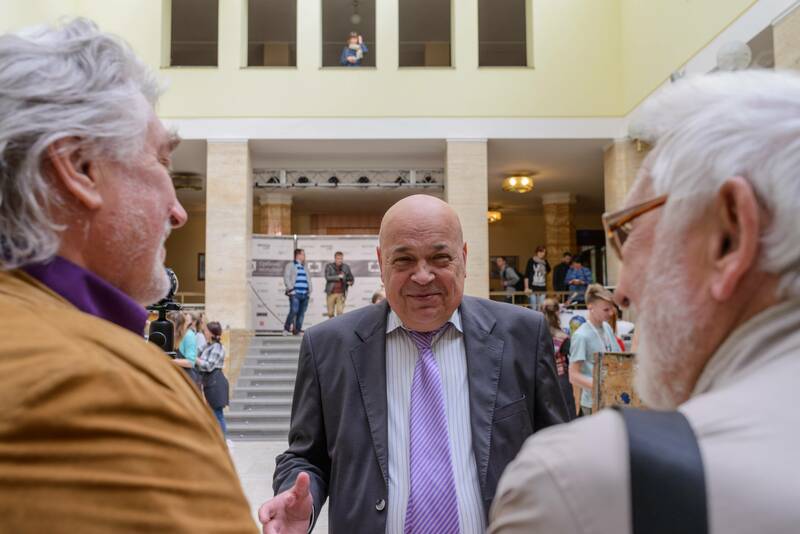 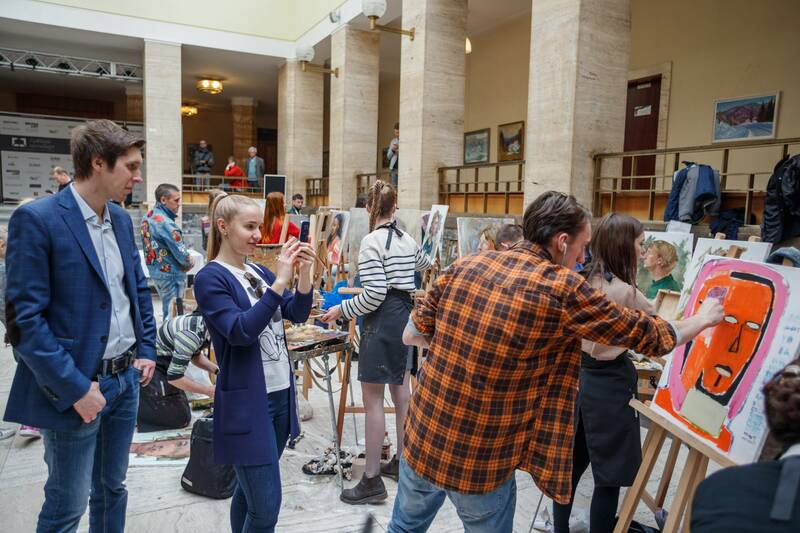 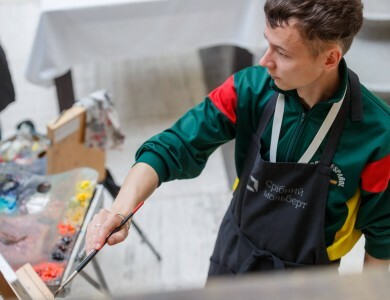 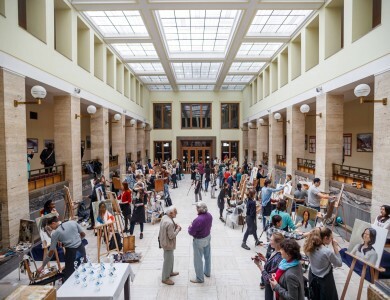 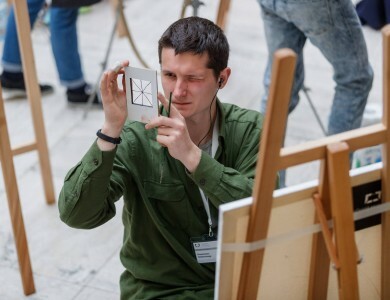 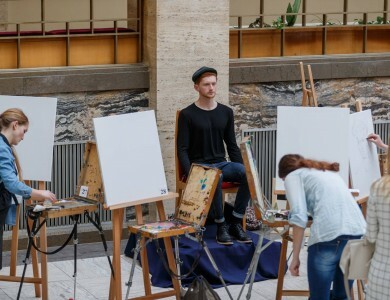 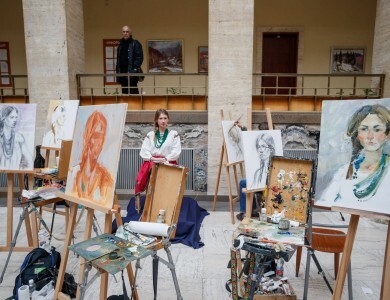 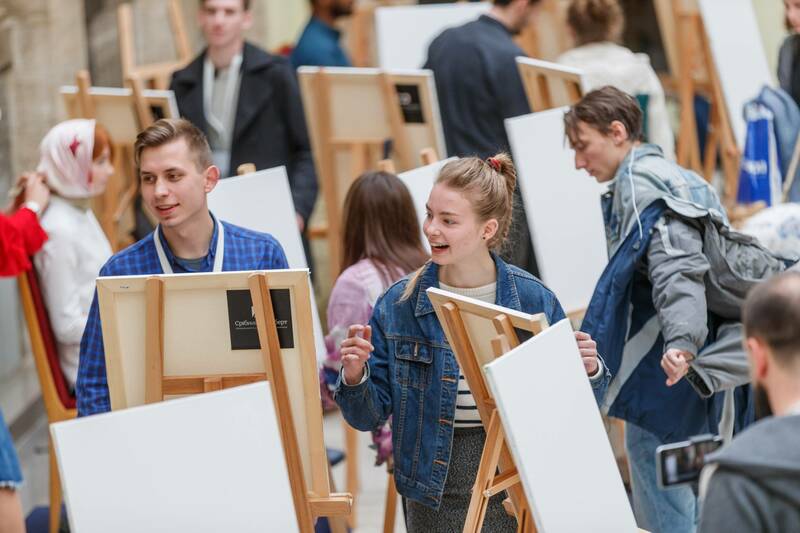 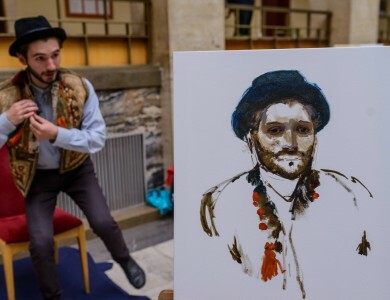 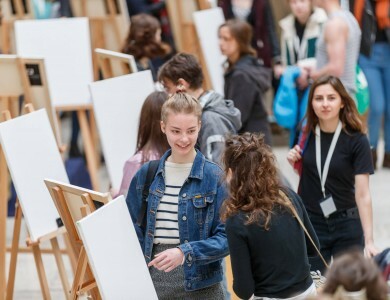 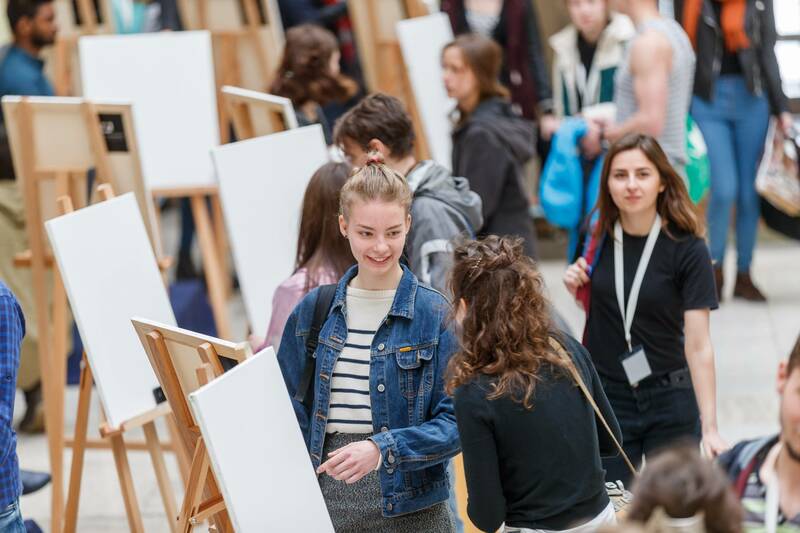 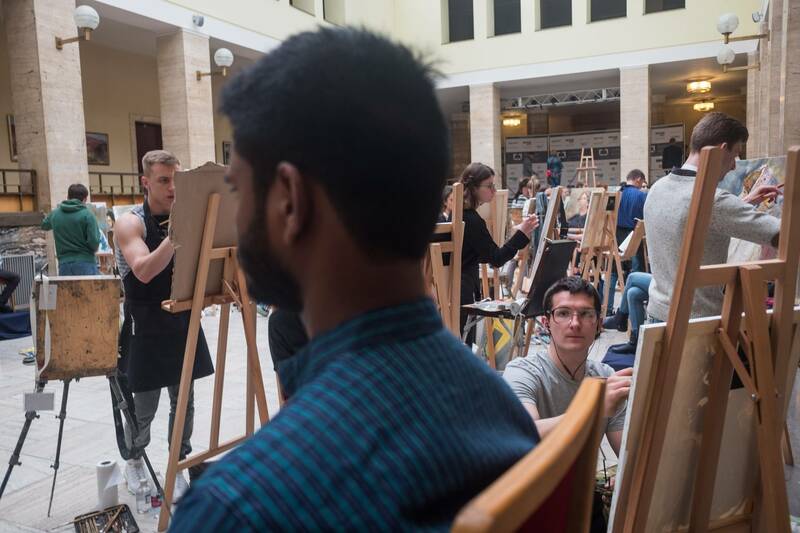 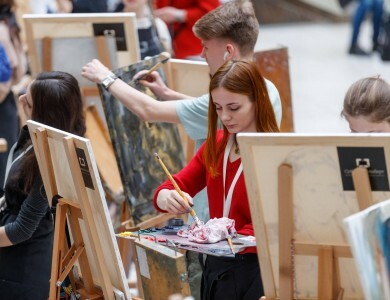 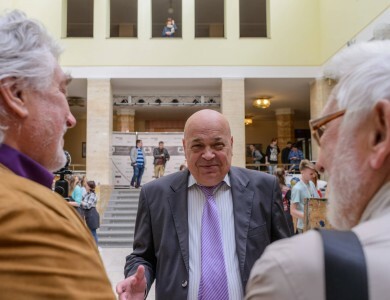 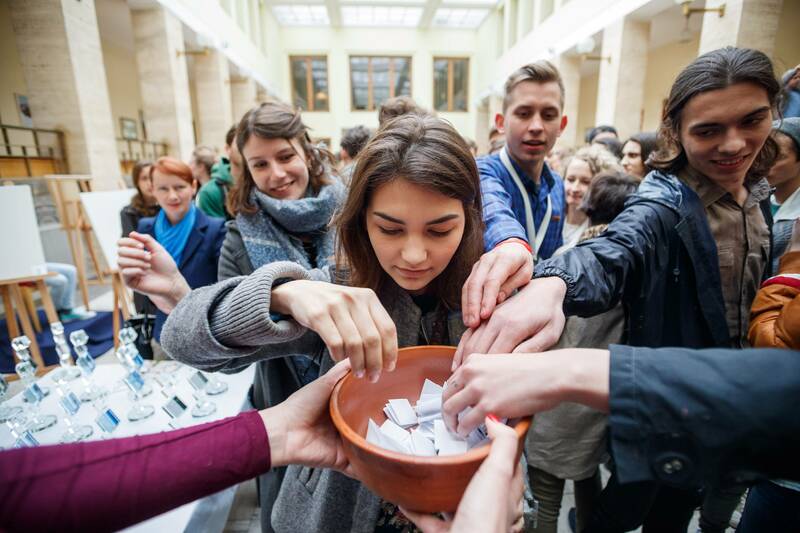 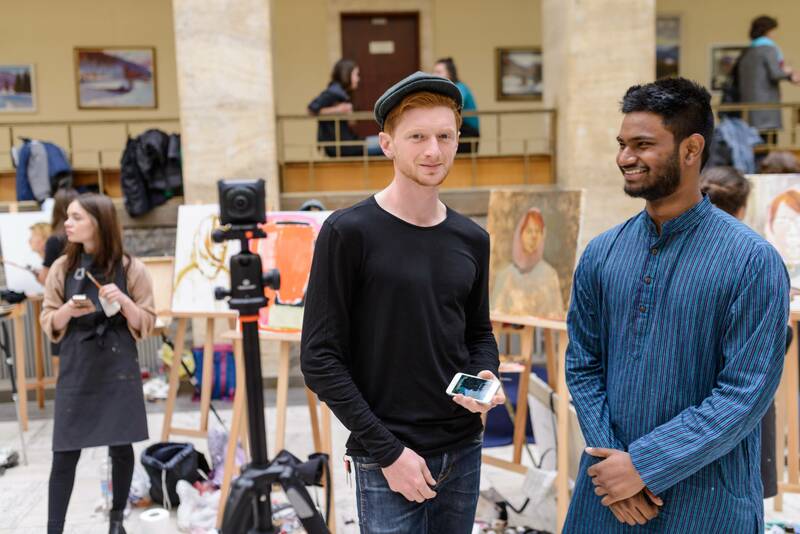 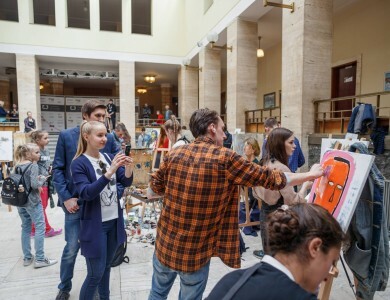 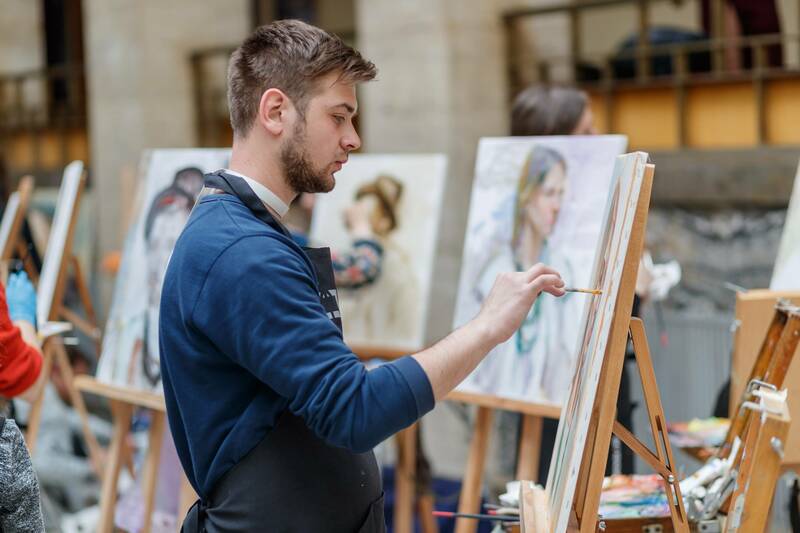 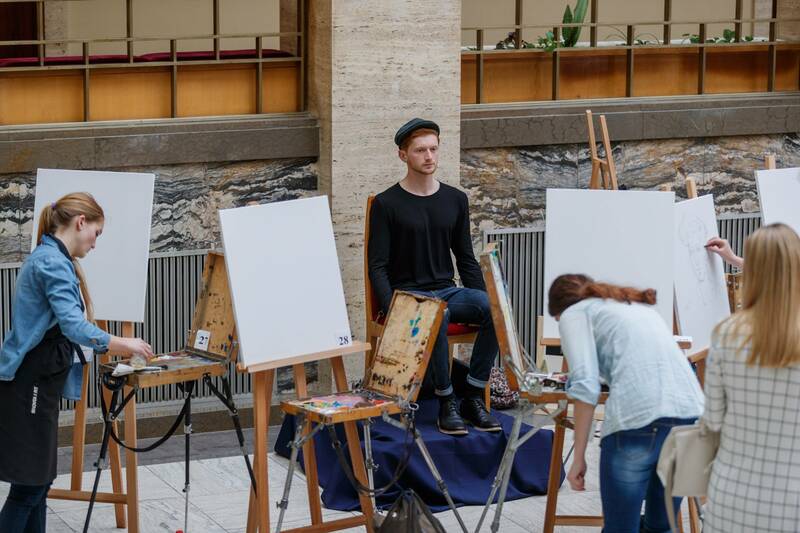 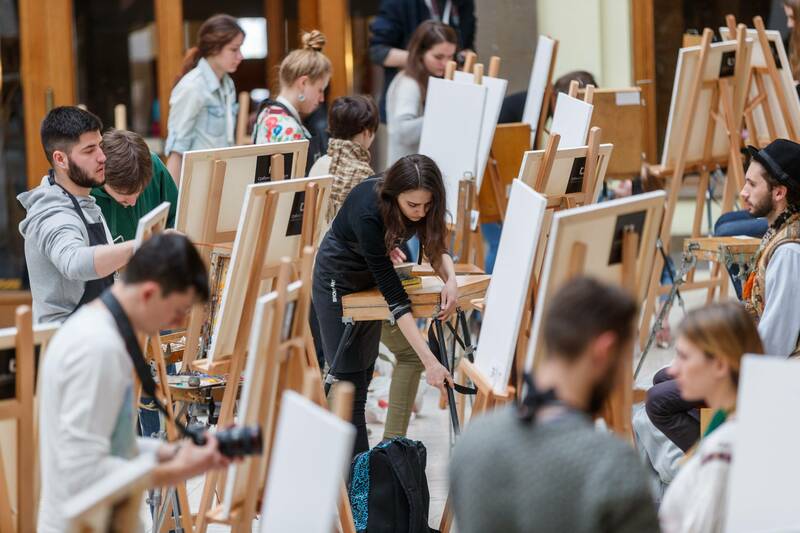 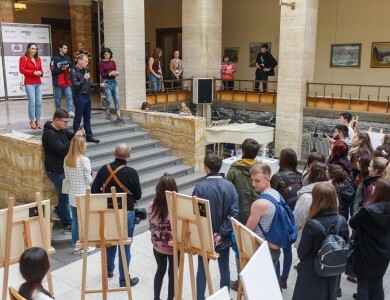 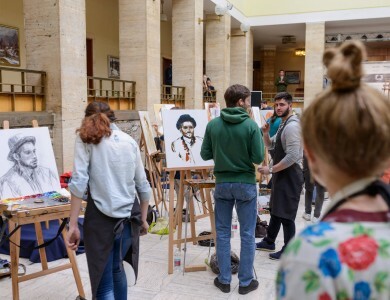 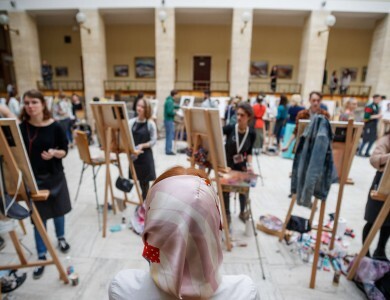 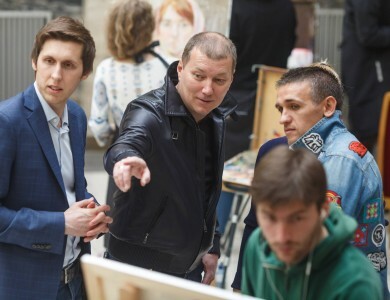 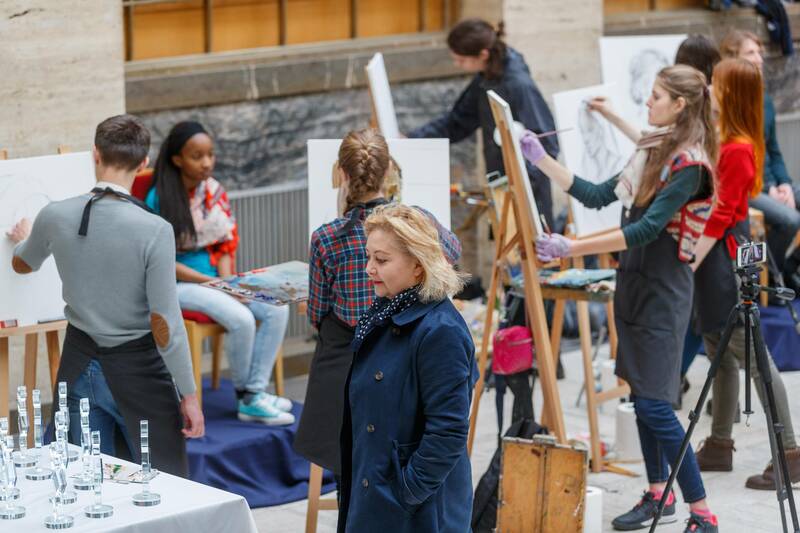 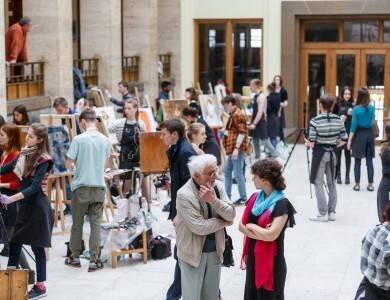 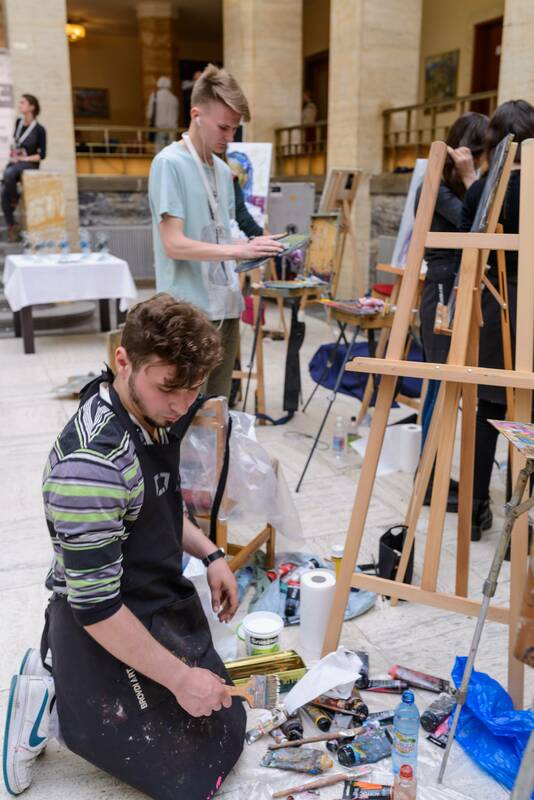 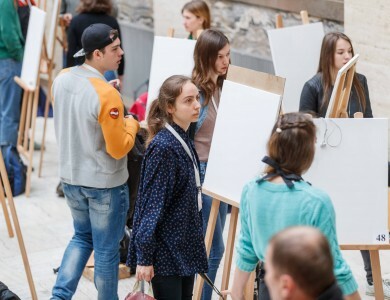 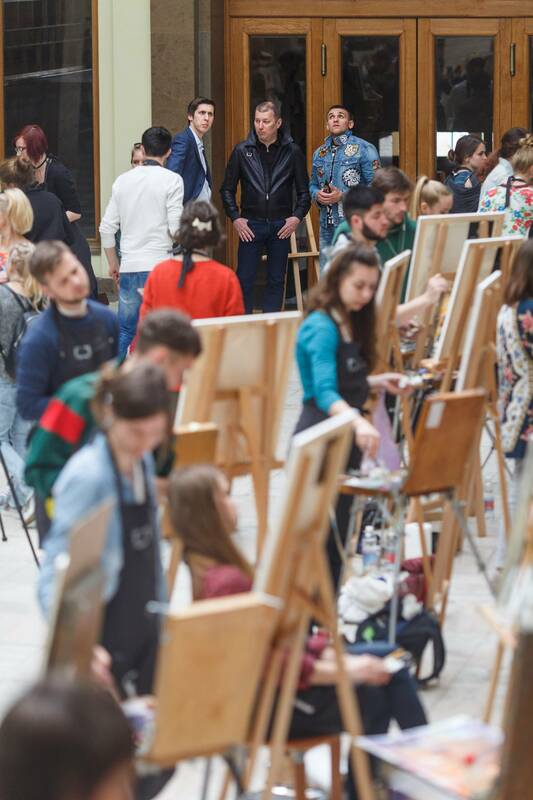 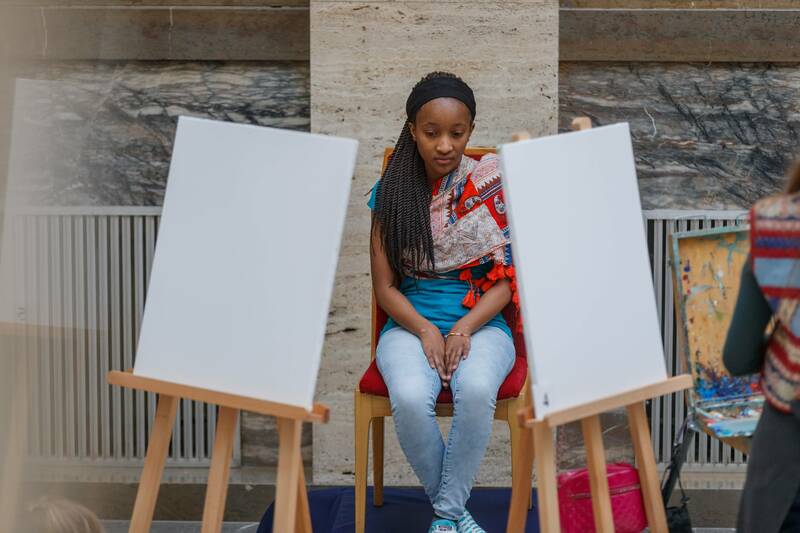 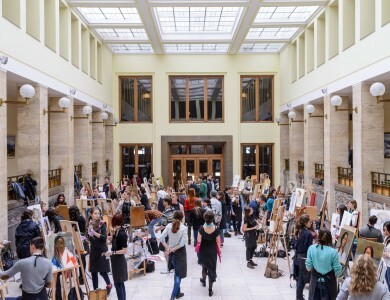 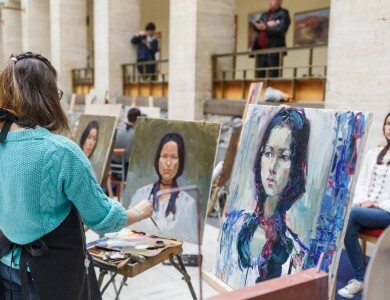 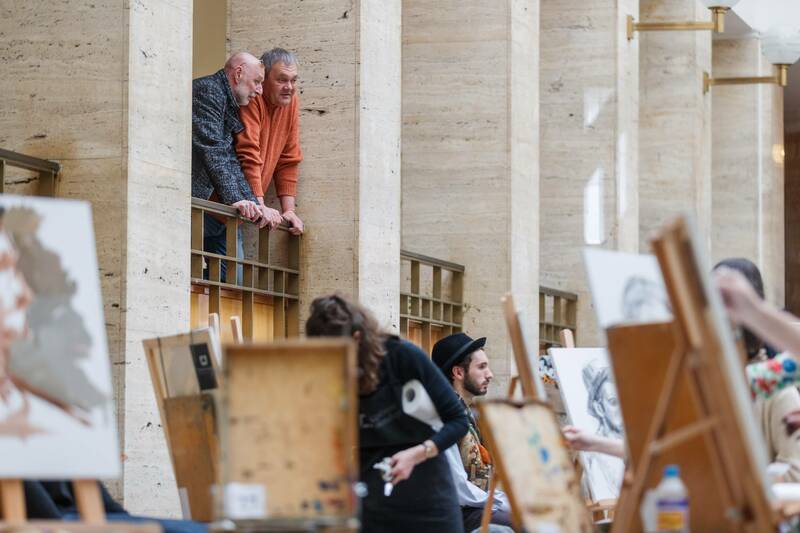 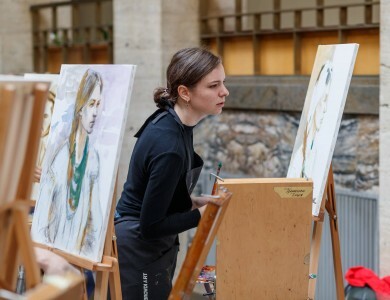 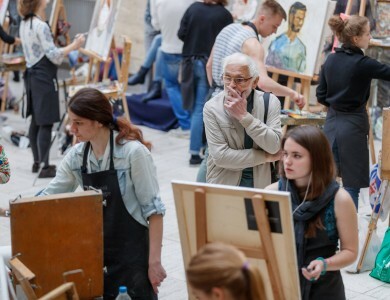 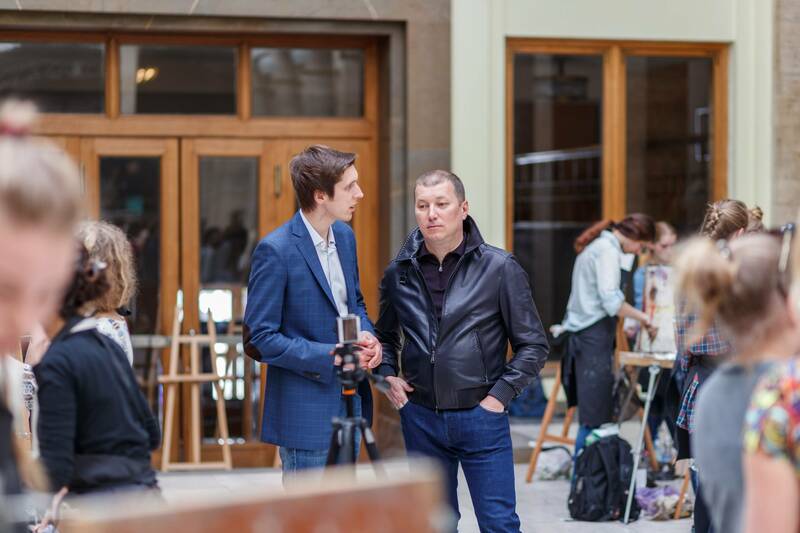 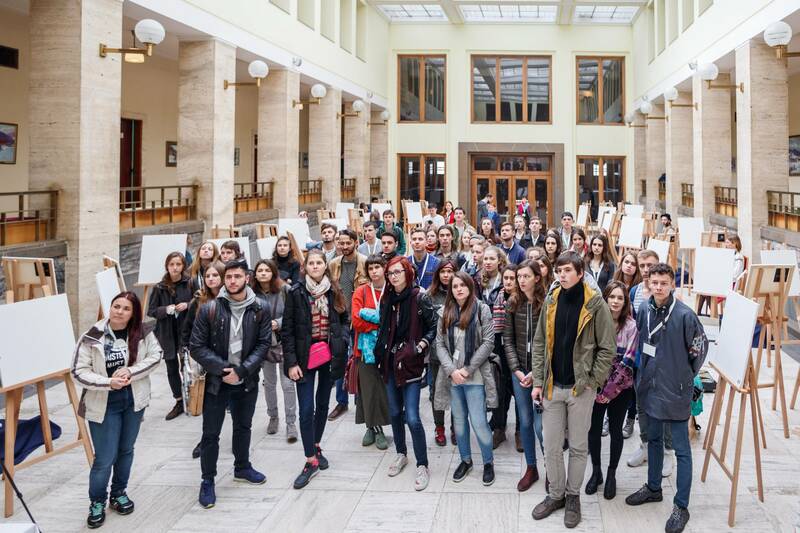 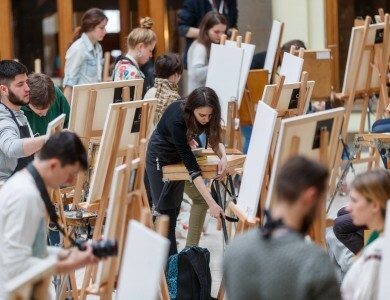 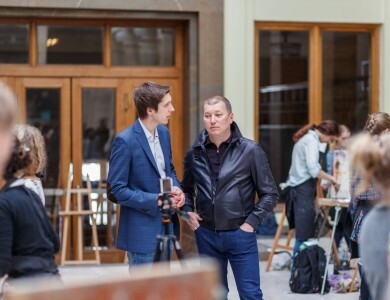 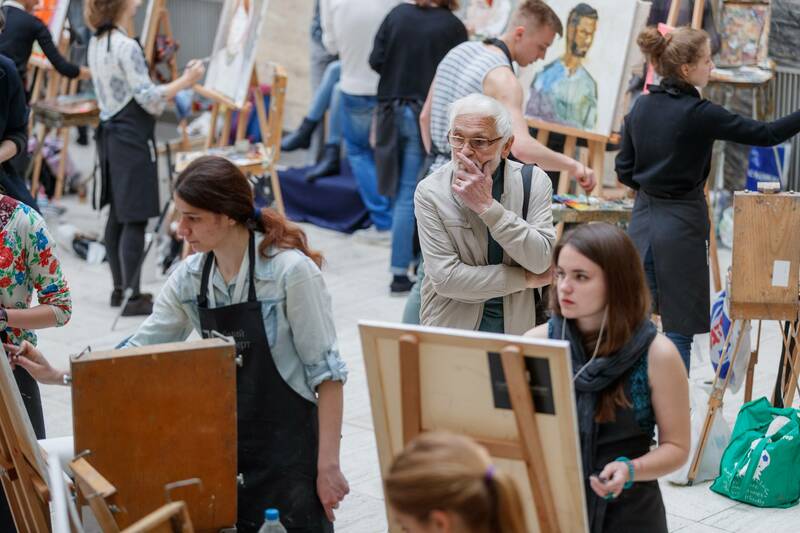 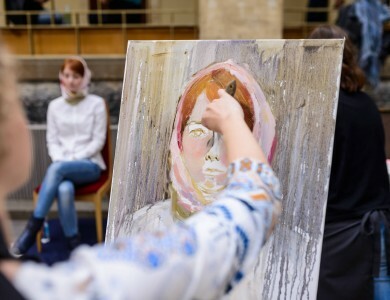 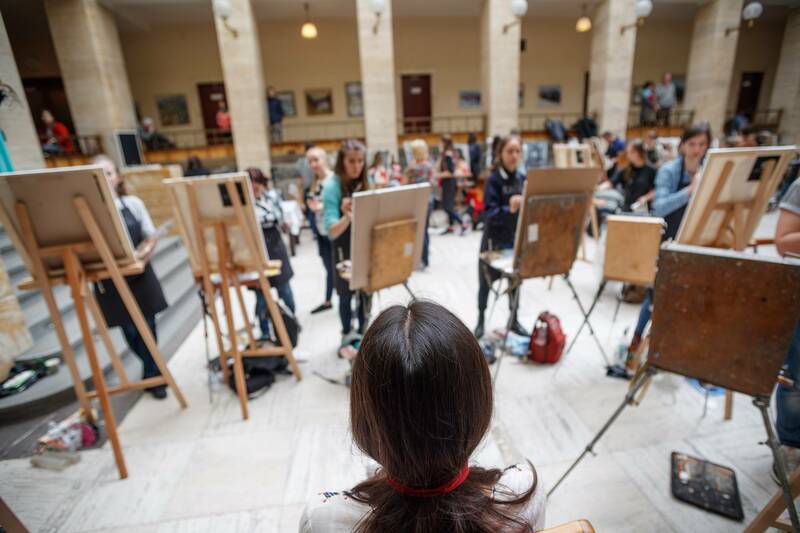 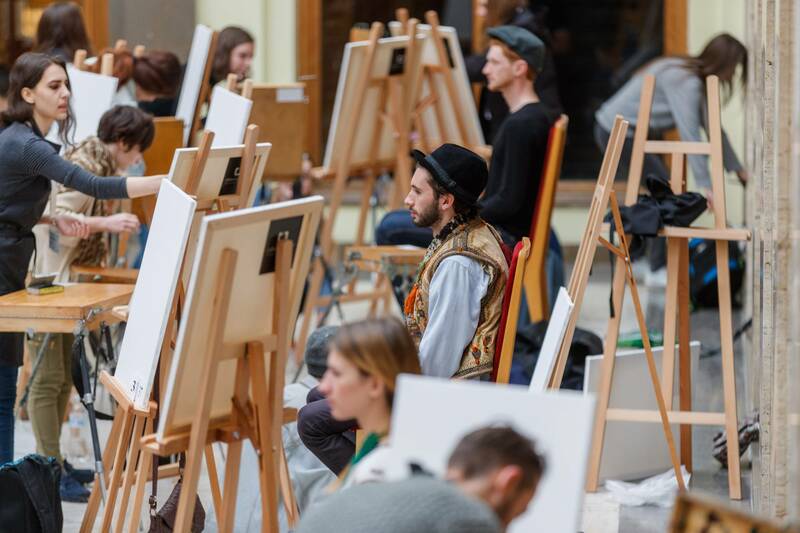 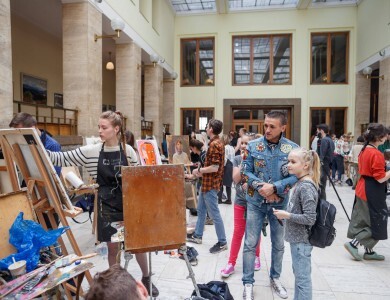 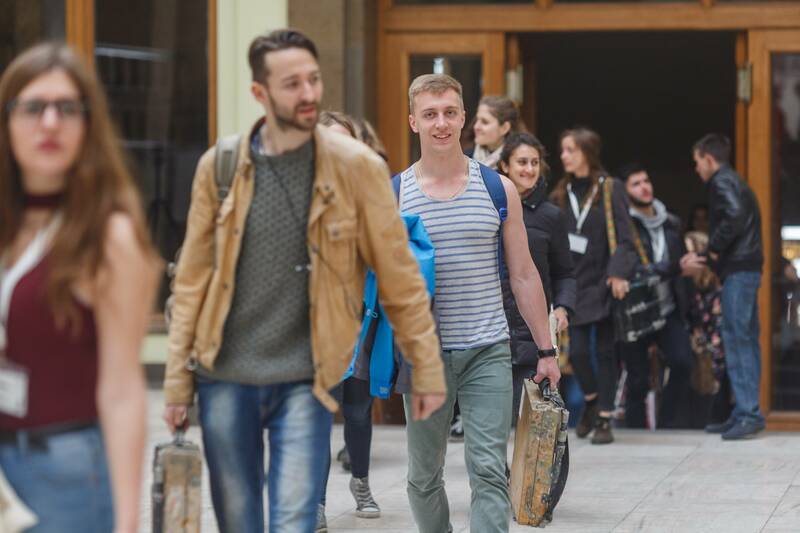 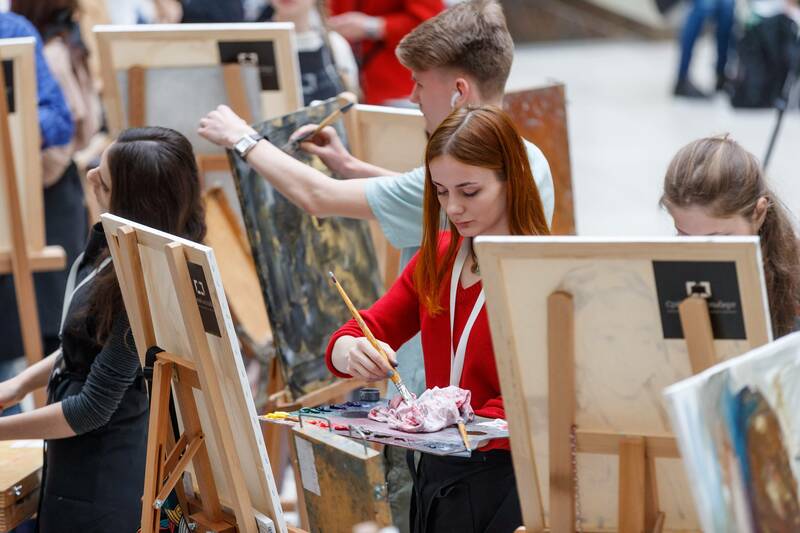 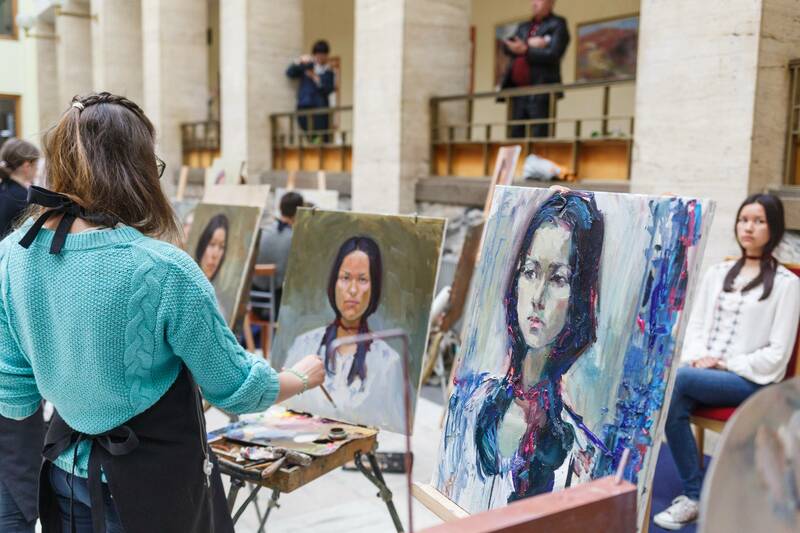 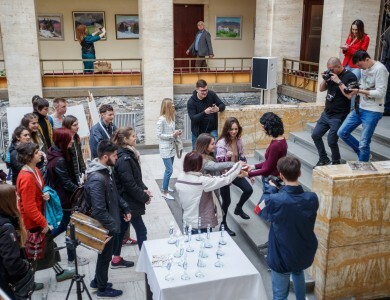 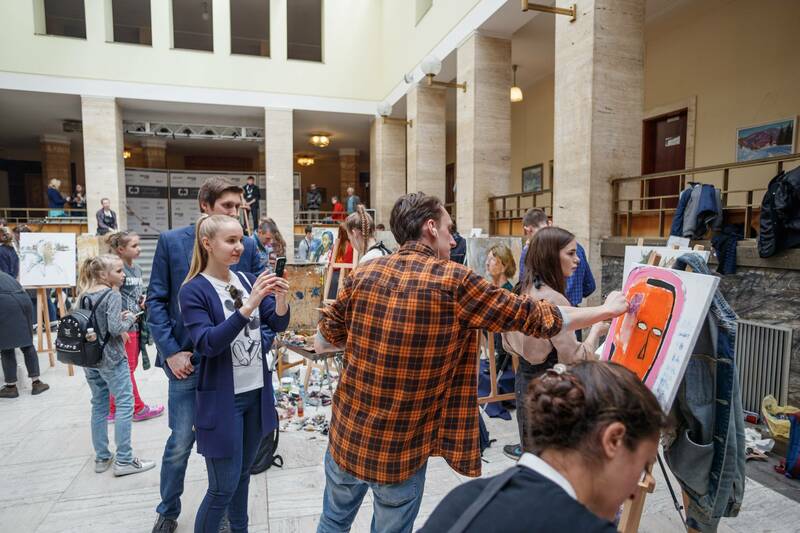 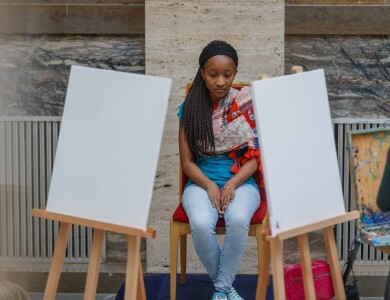 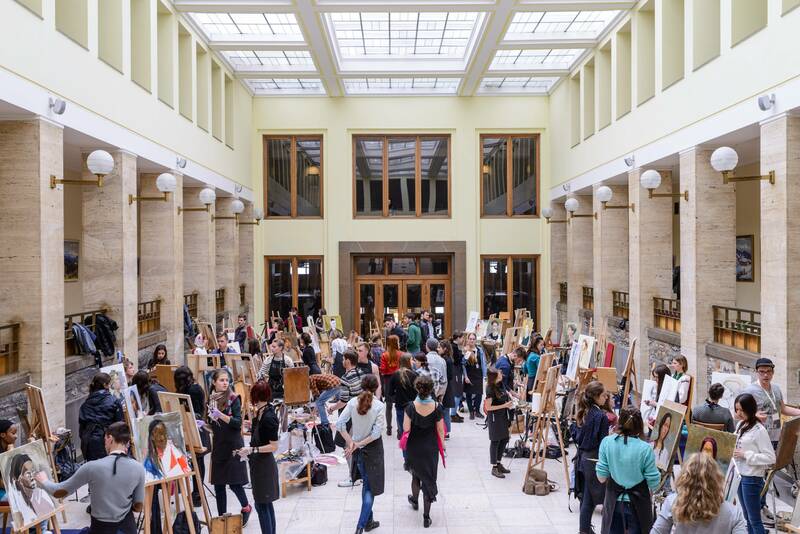 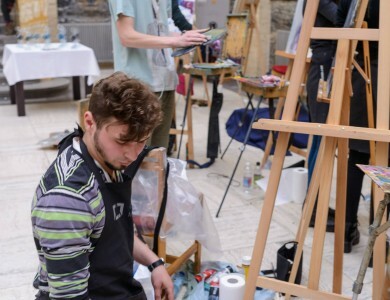 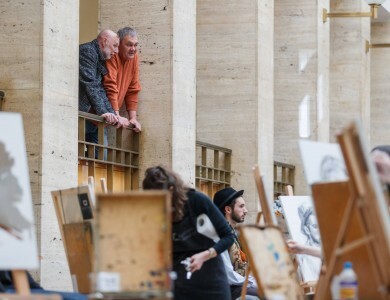 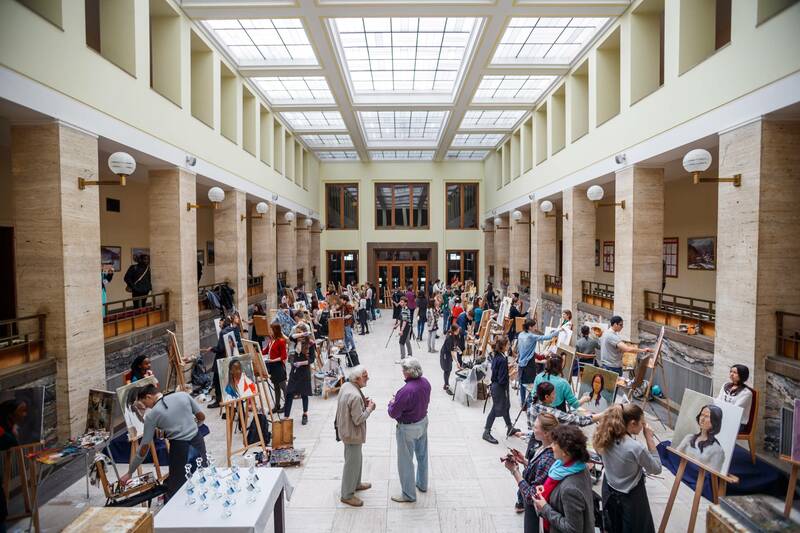 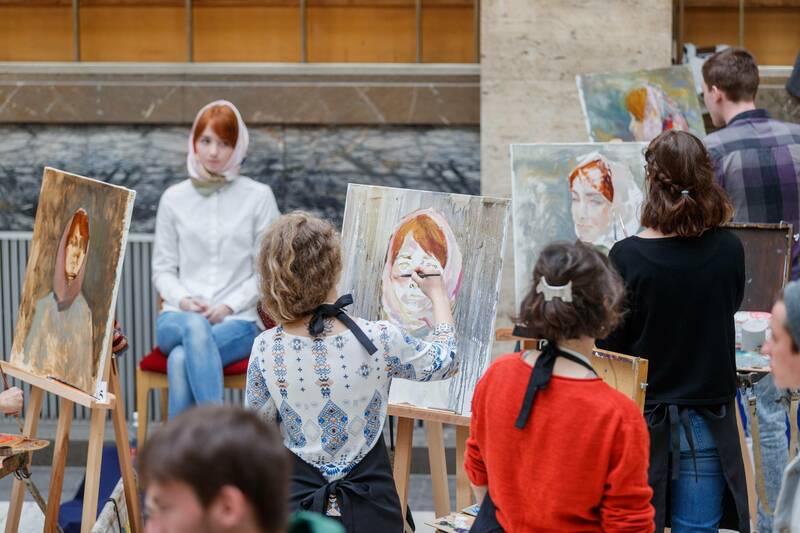 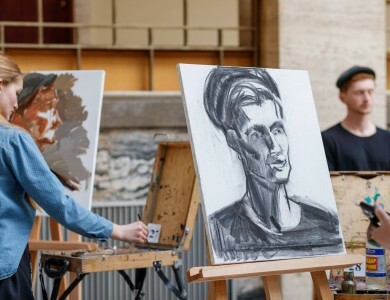 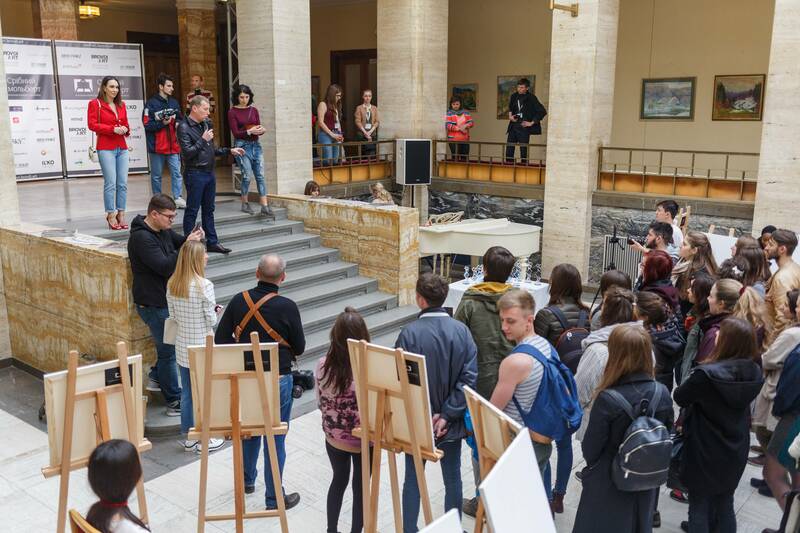 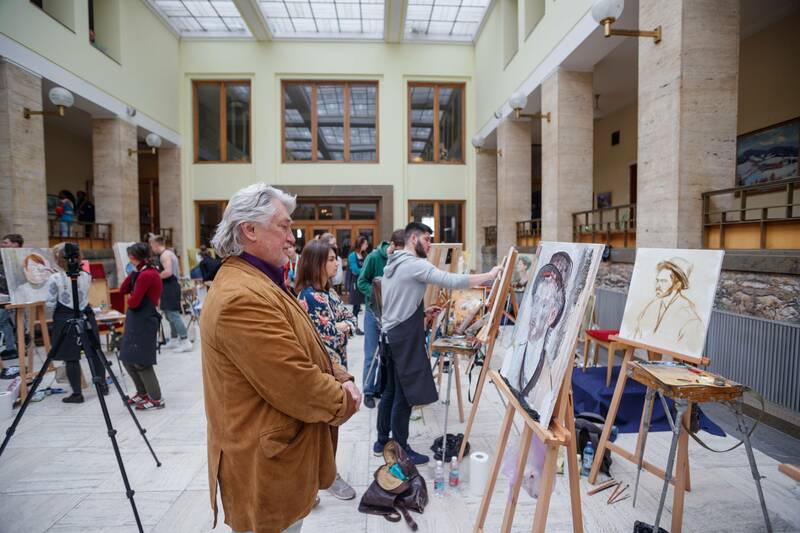 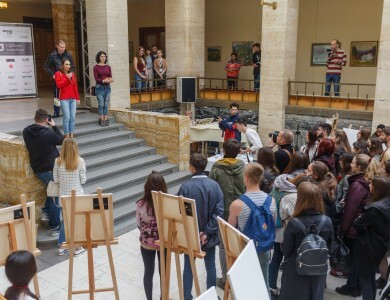 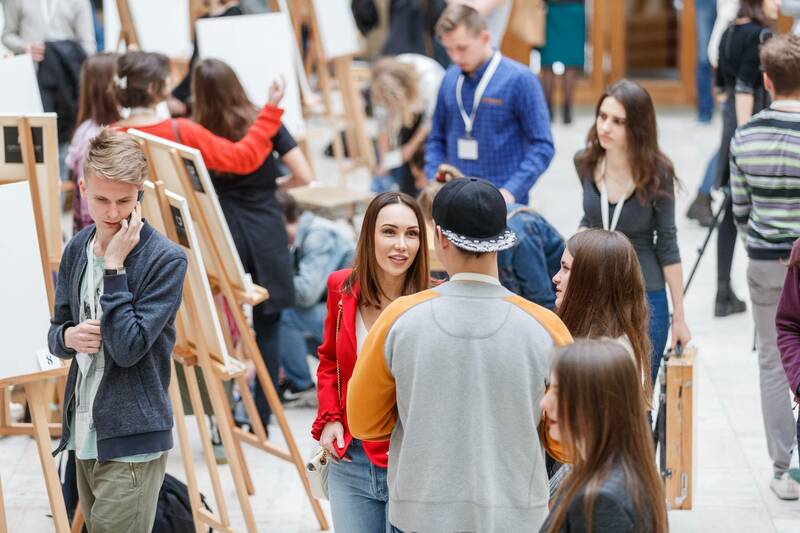 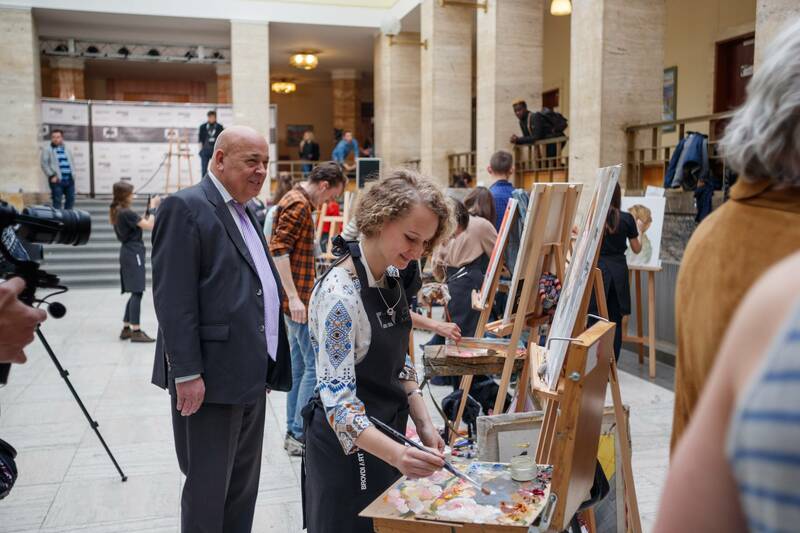 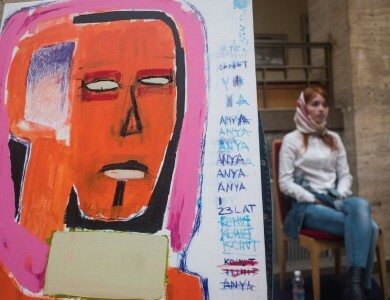 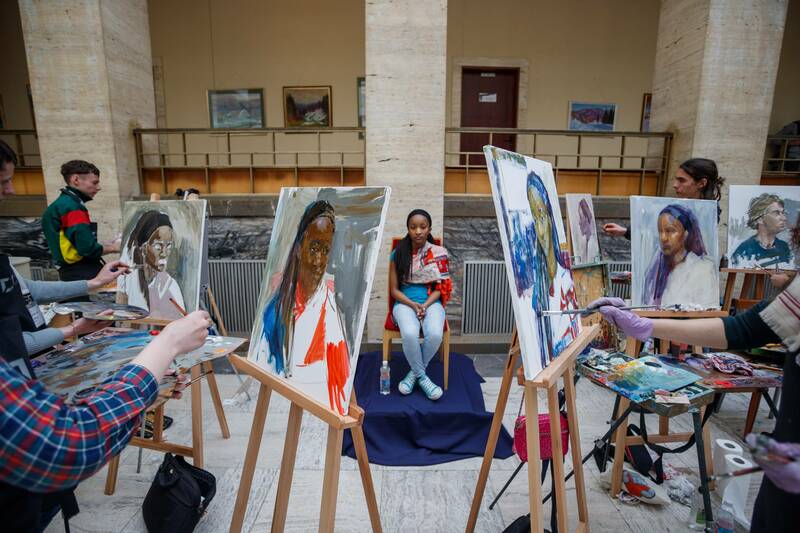 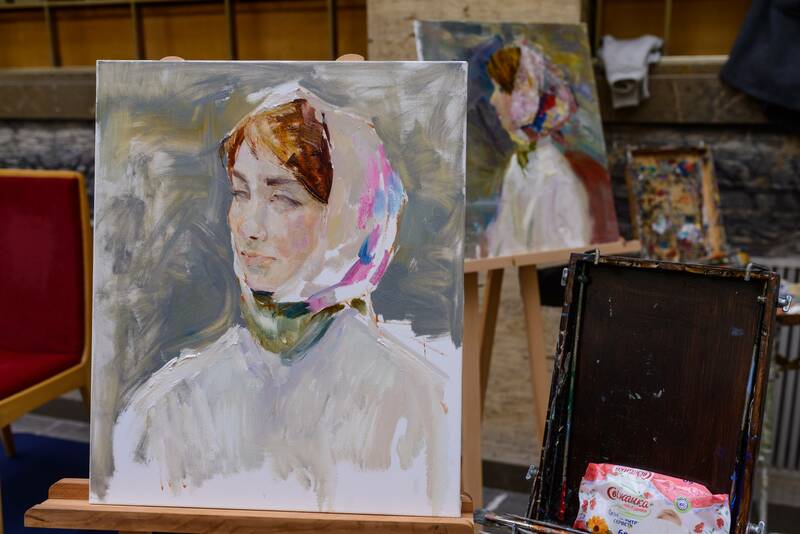 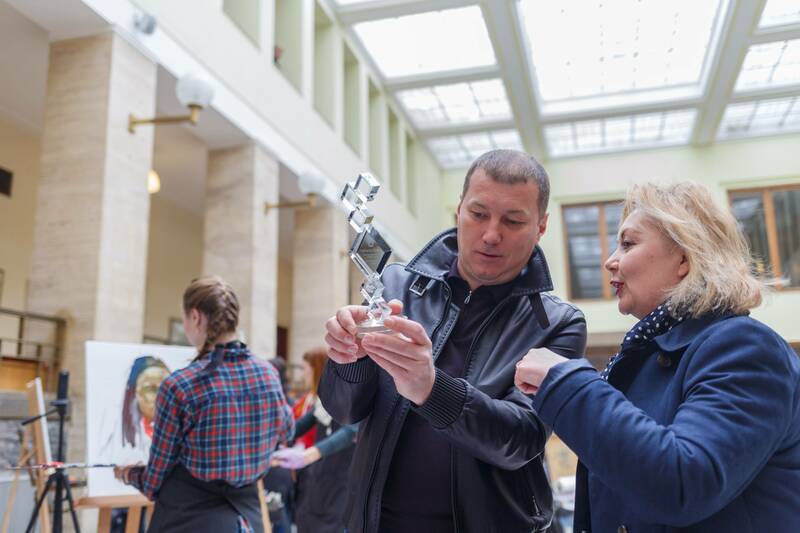 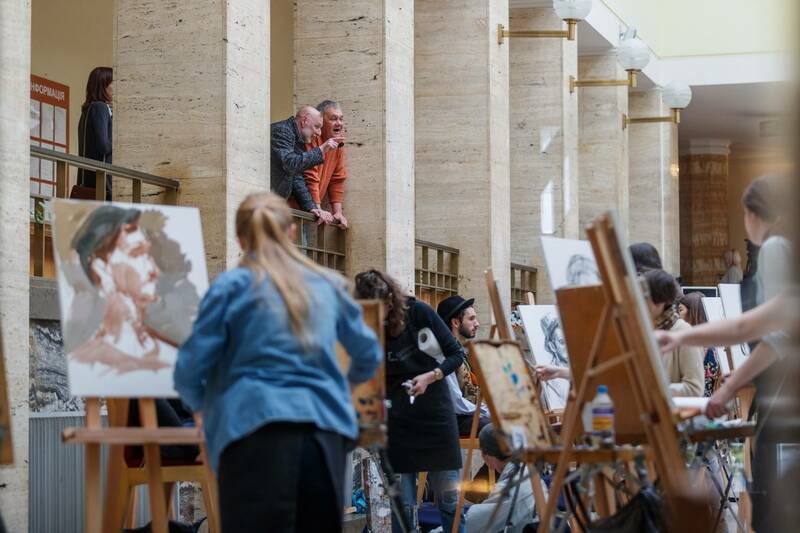 On this day Jury members and a lot of Transcarpathian artists visited the hall-atrium of Transcarpathian Regional State Administration to observe the creativity of young talents. 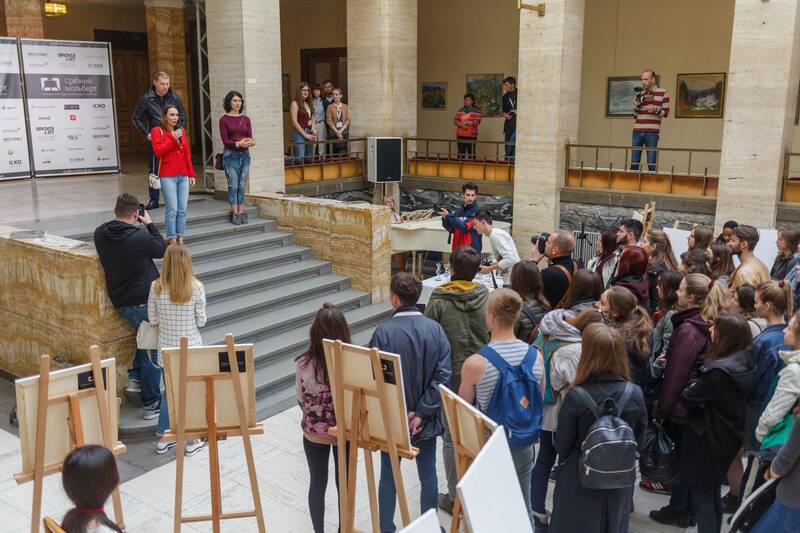 Among the interested public there were residents and guests of Uzhhorod. 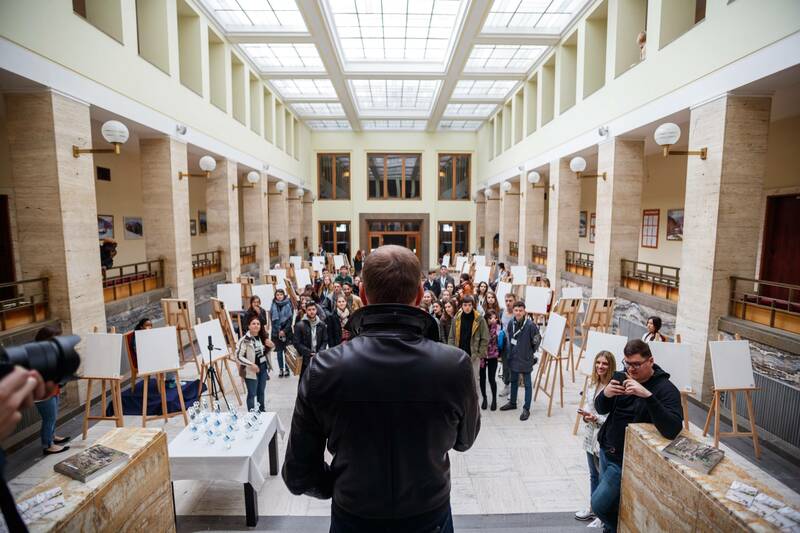 Such a powerful contest could not but attracted great public attention. 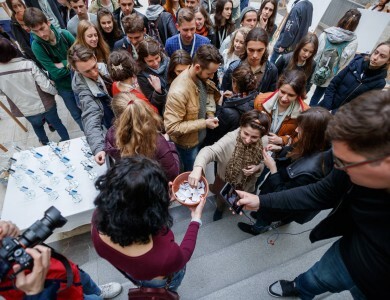 A little more and it is time to celebrate the victory!